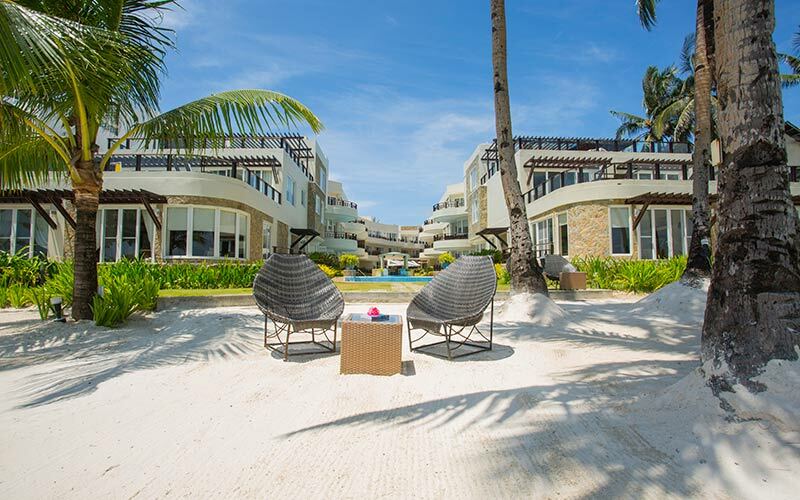 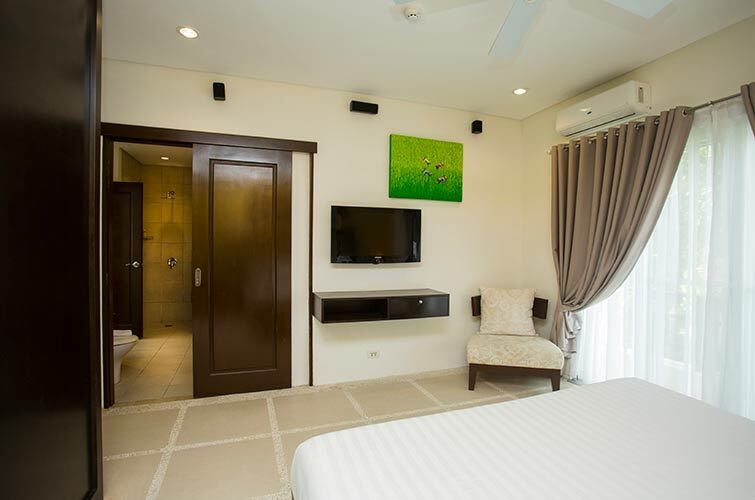 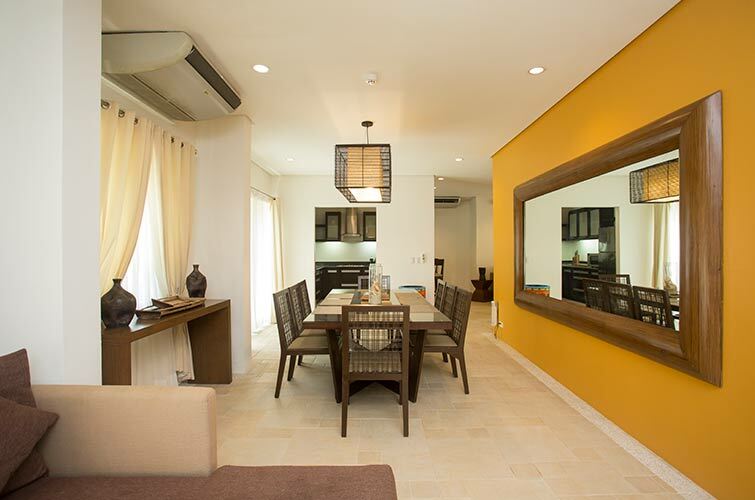 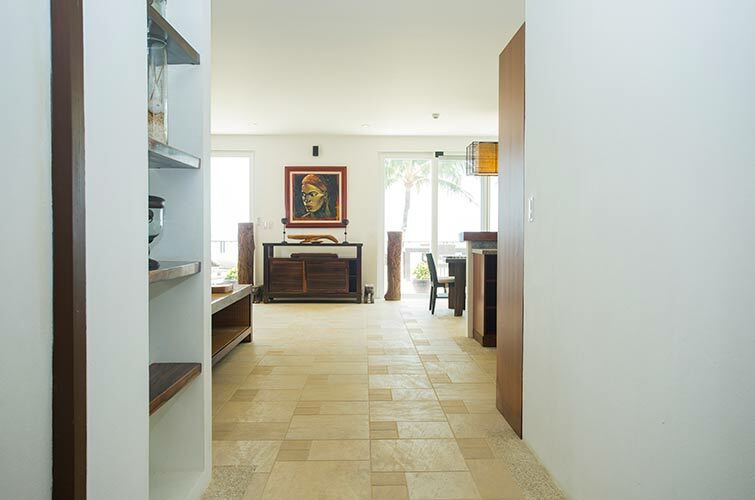 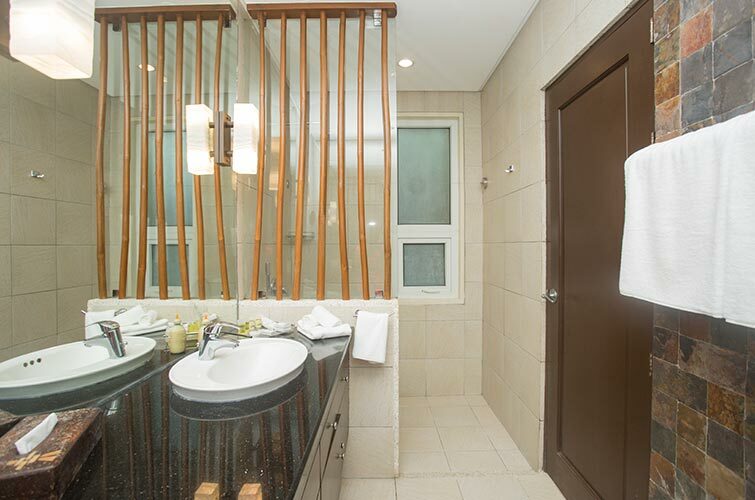 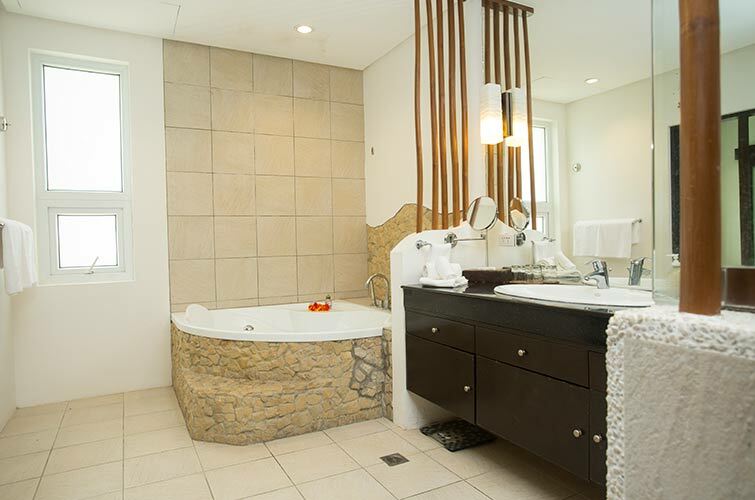 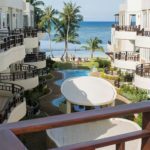 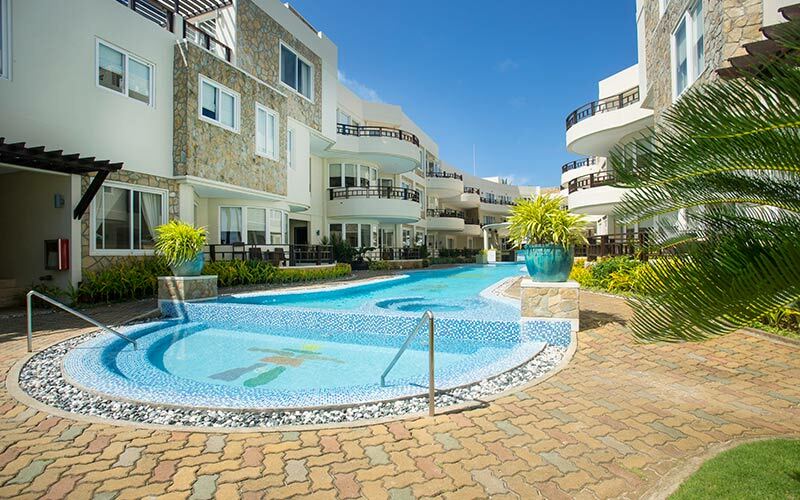 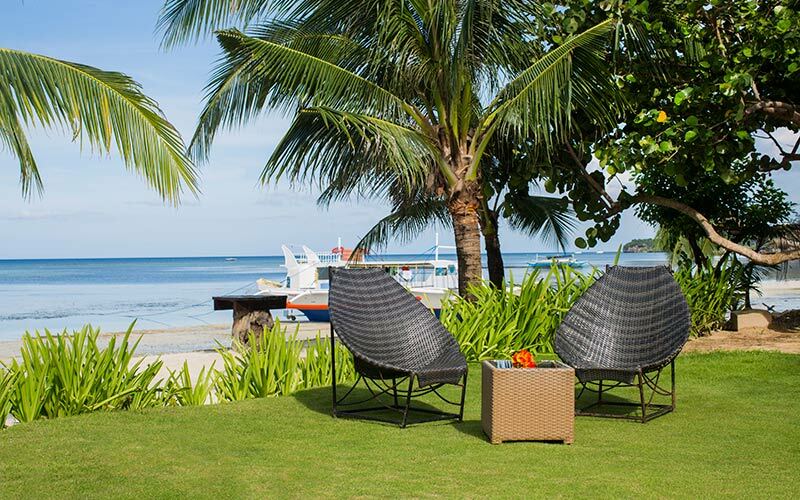 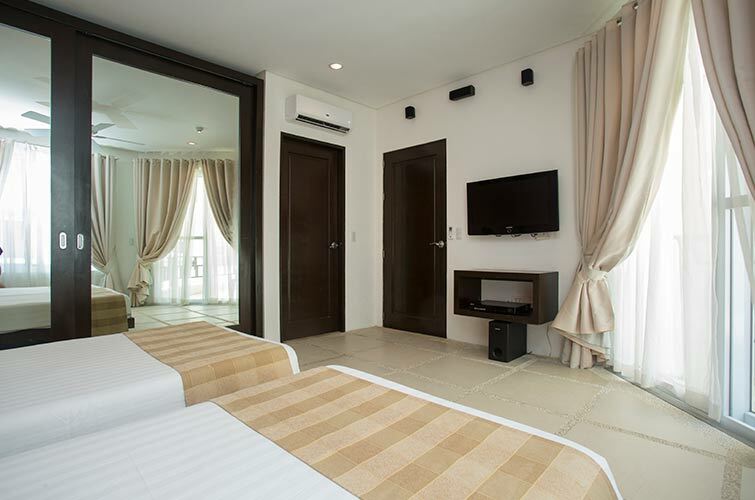 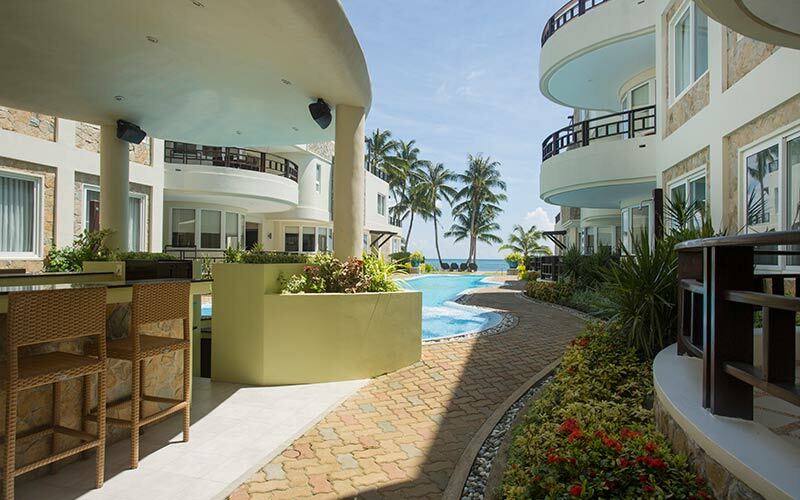 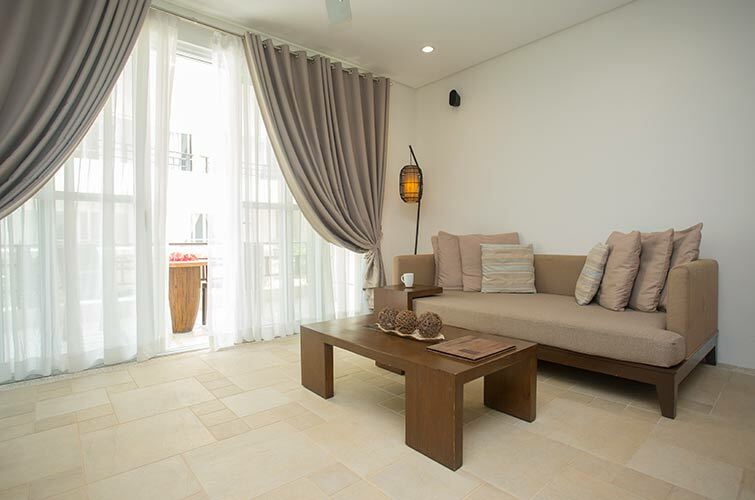 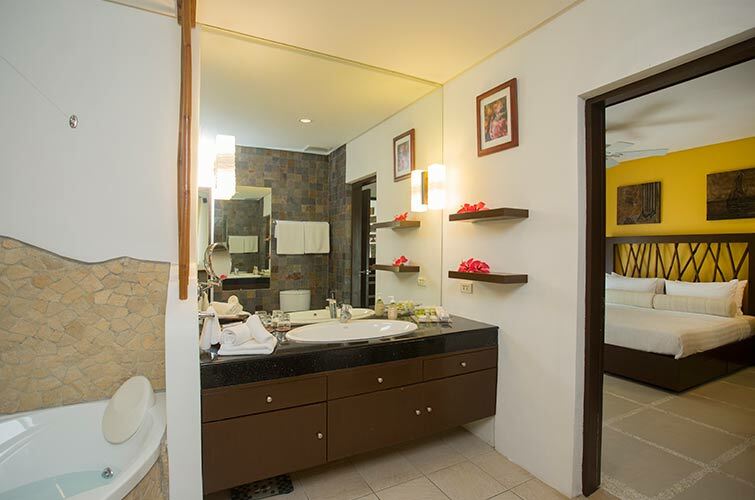 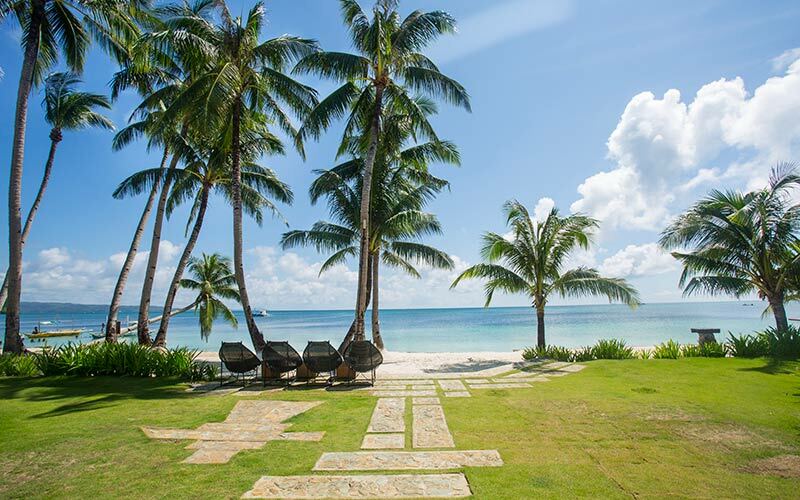 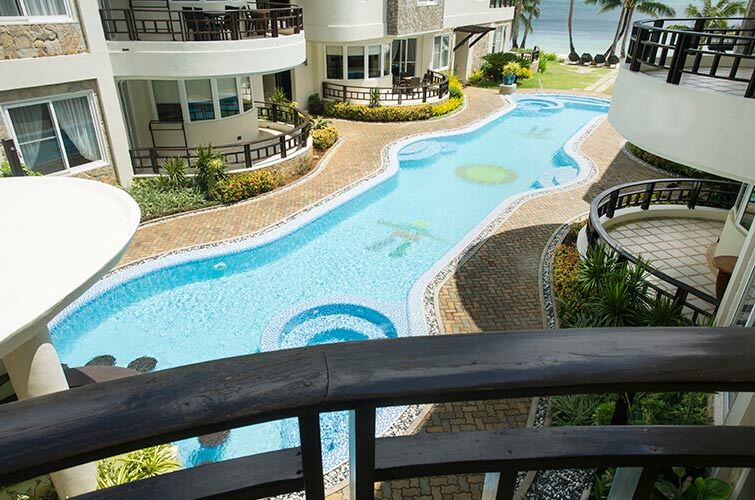 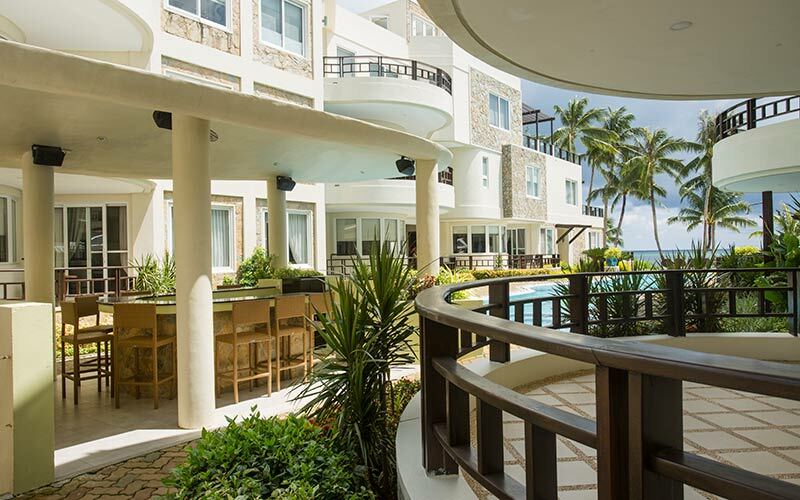 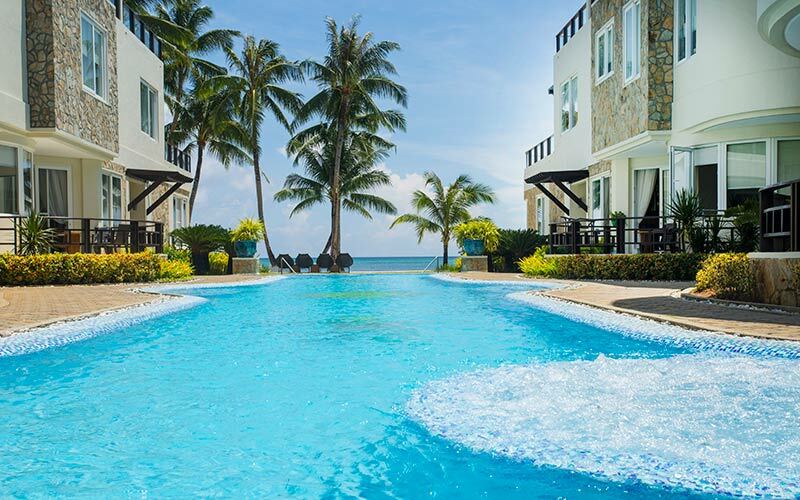 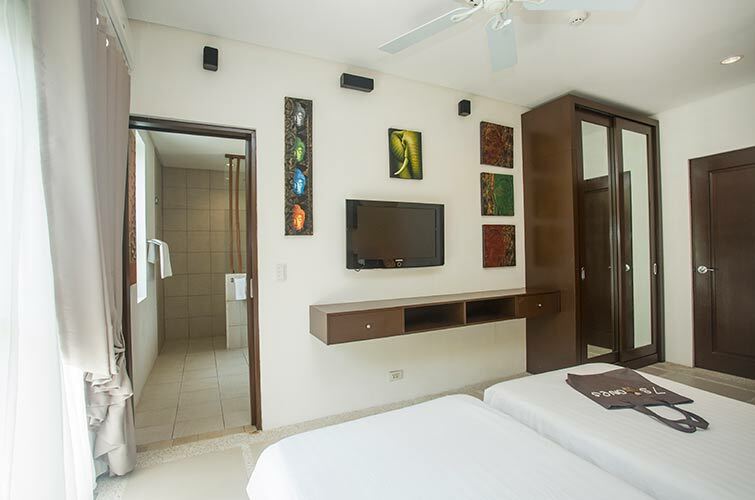 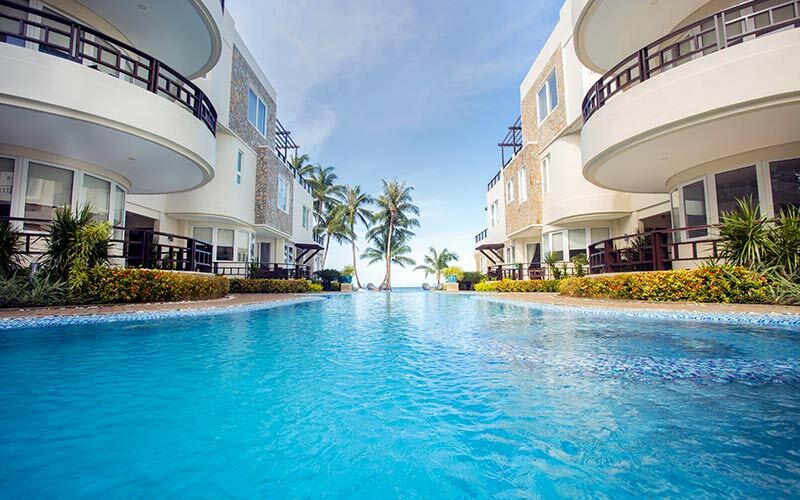 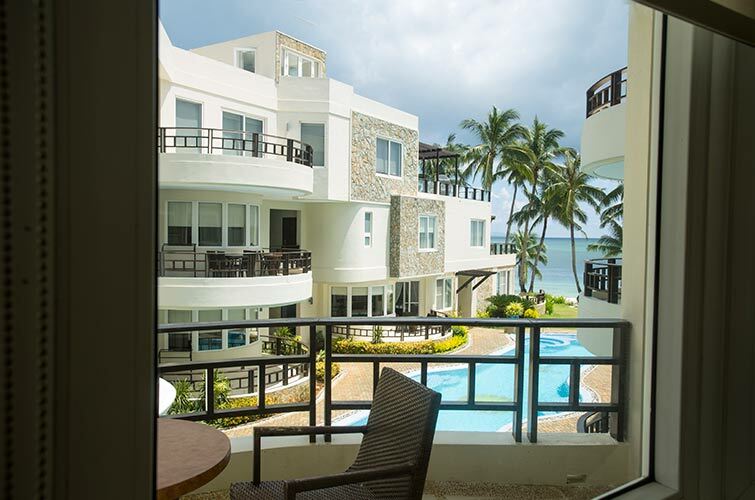 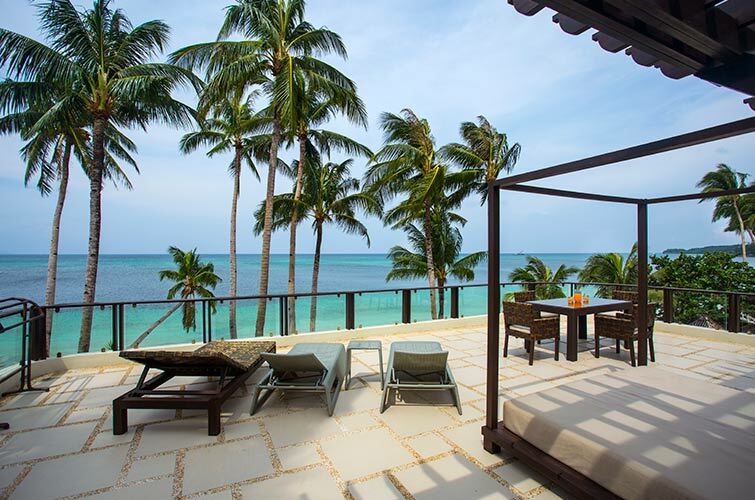 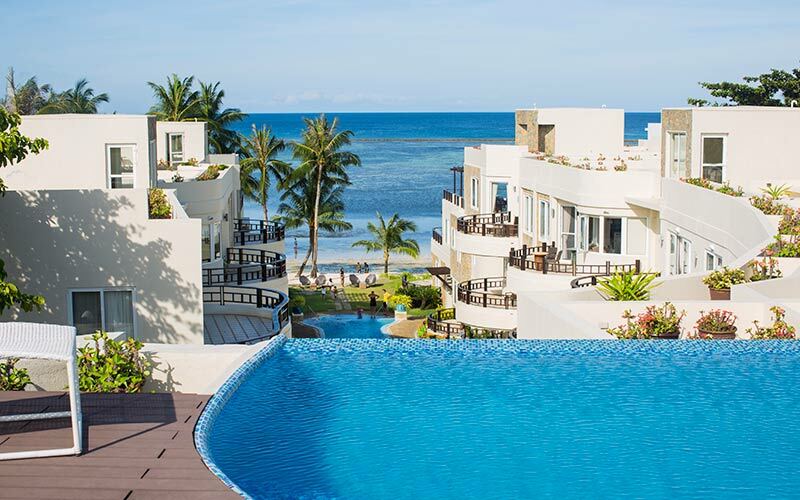 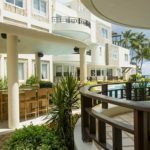 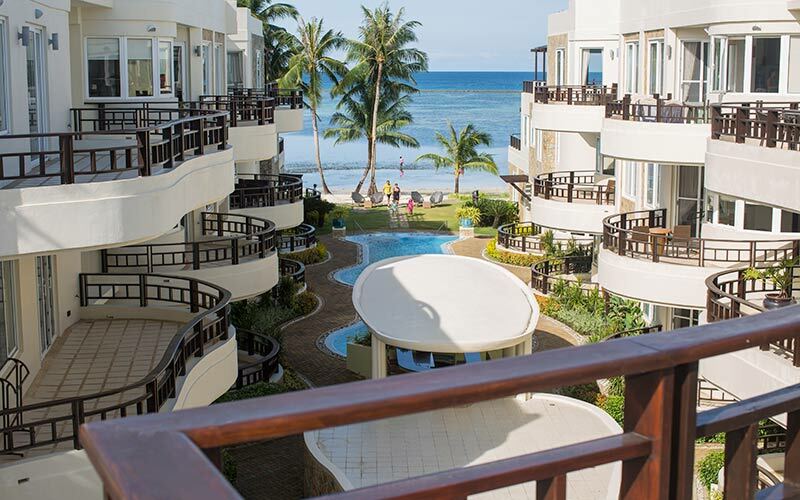 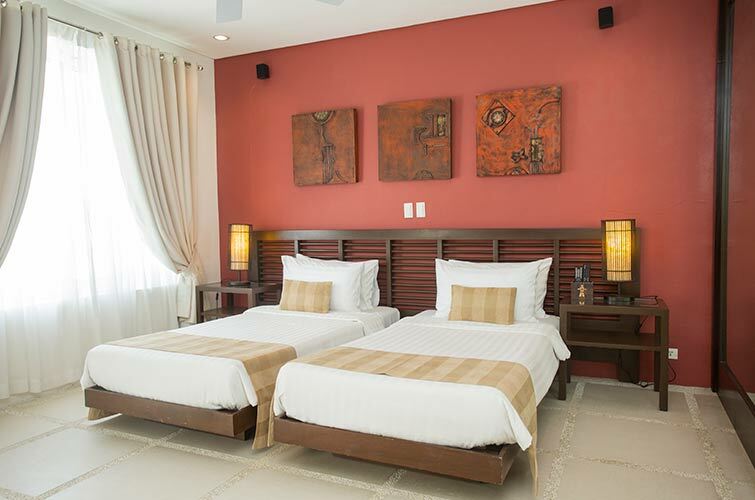 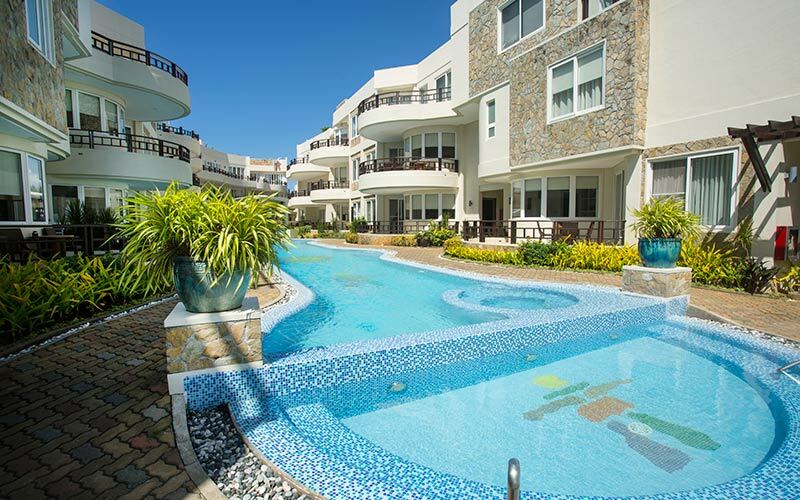 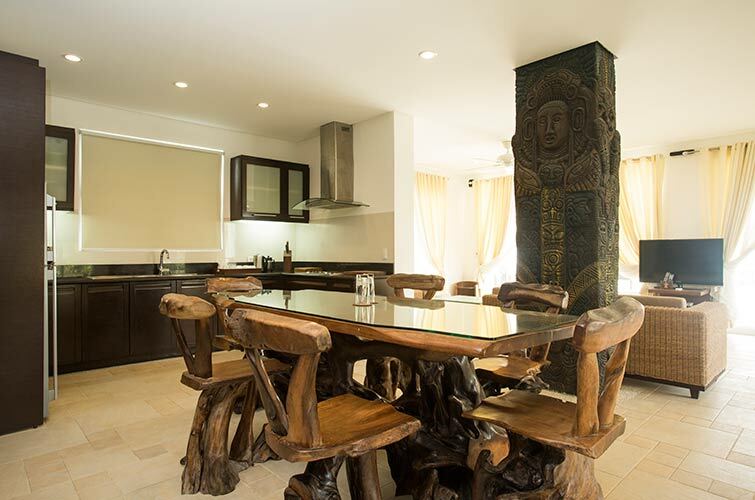 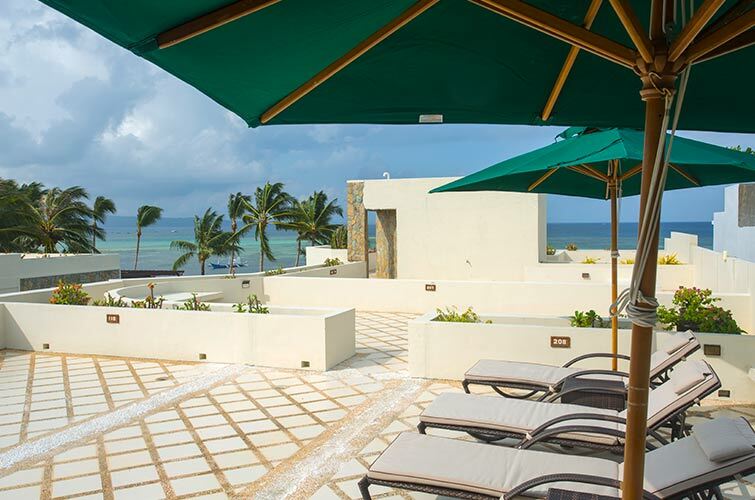 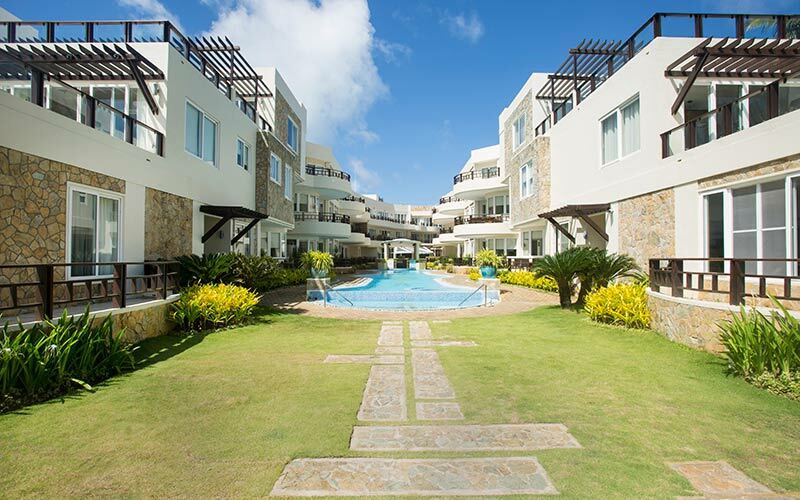 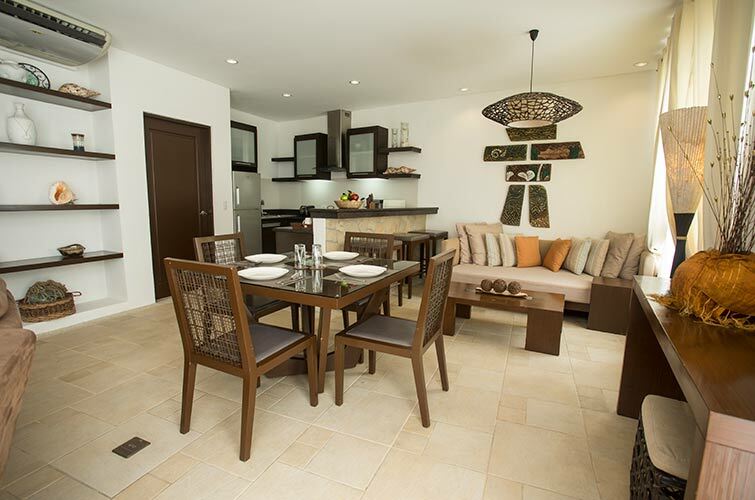 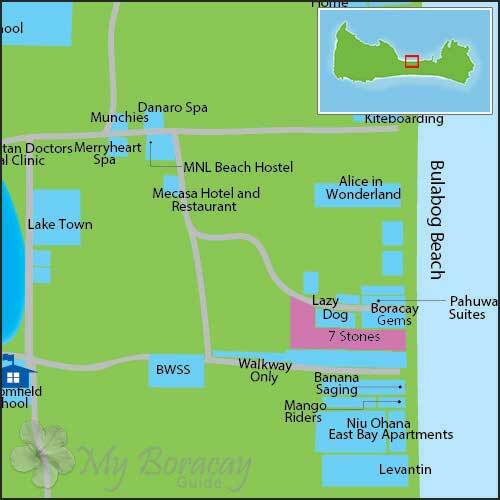 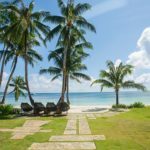 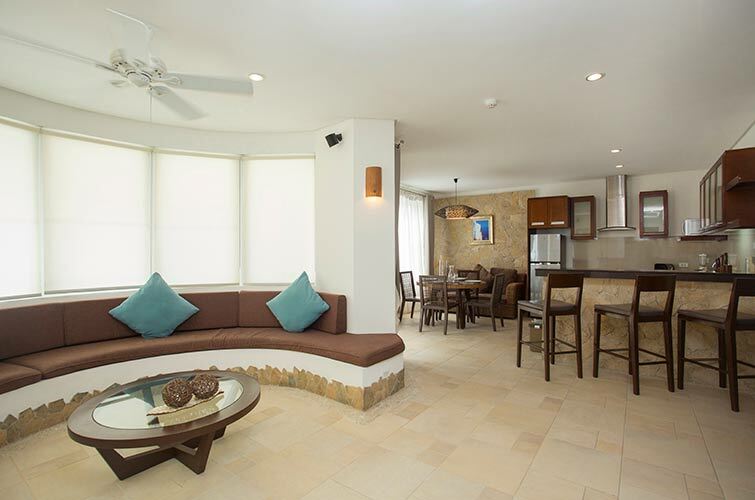 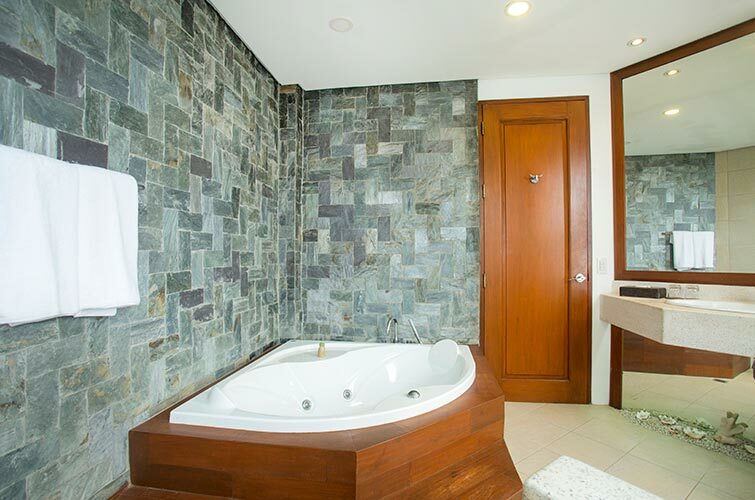 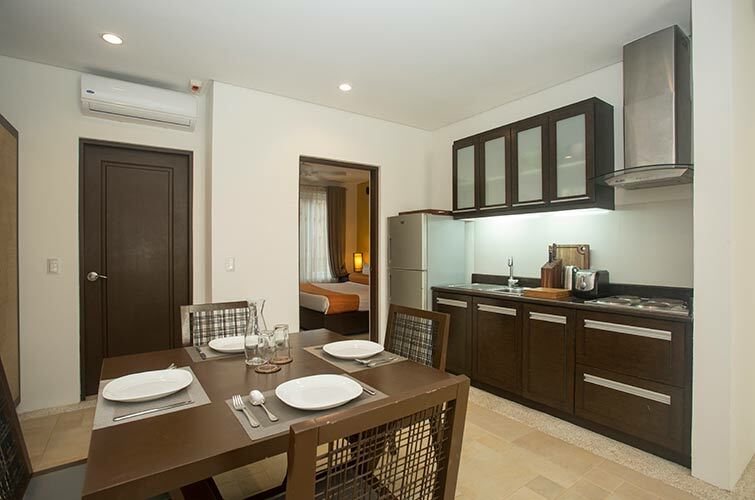 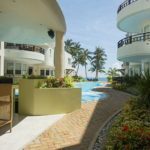 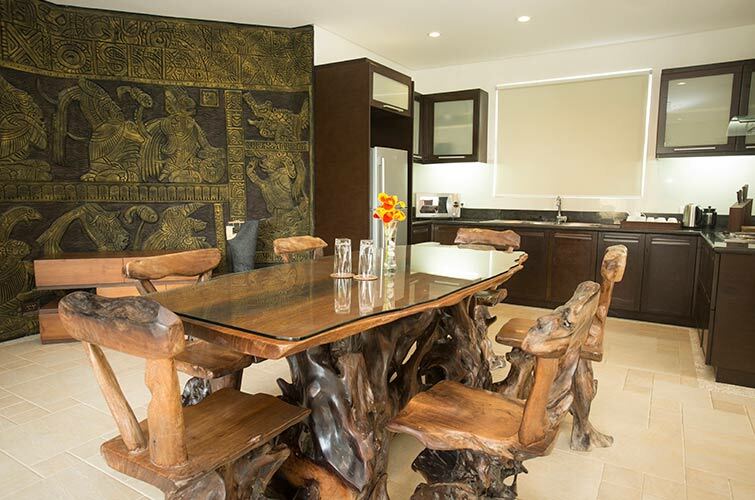 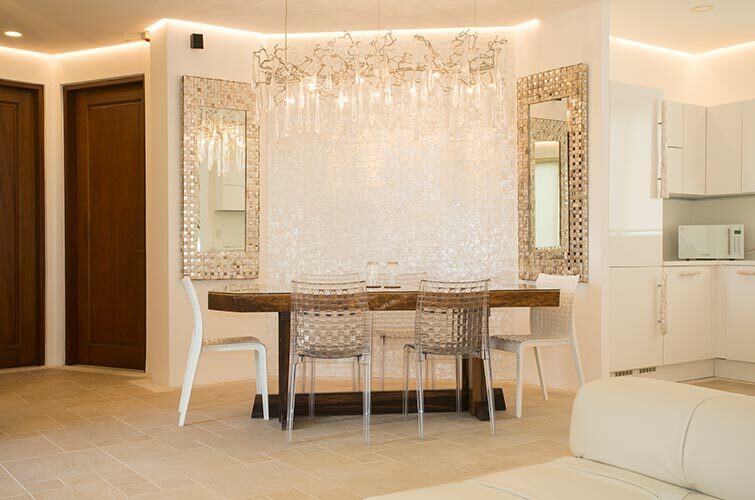 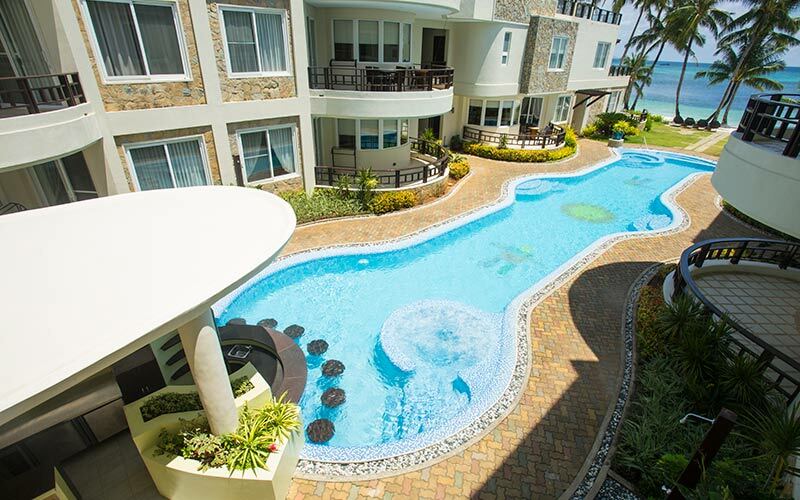 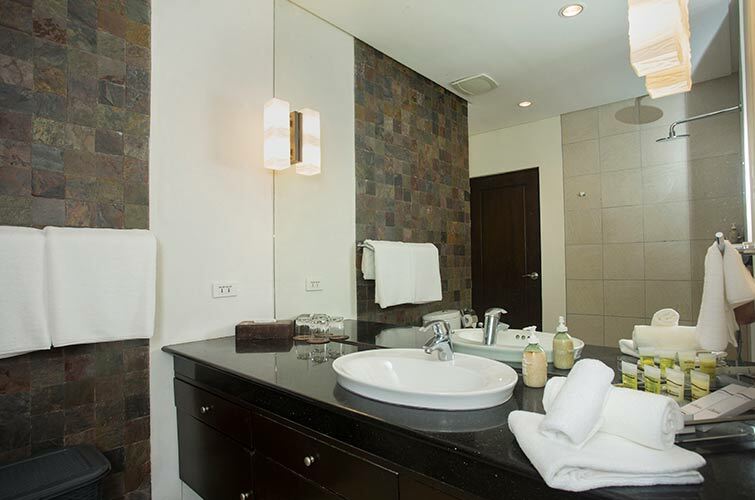 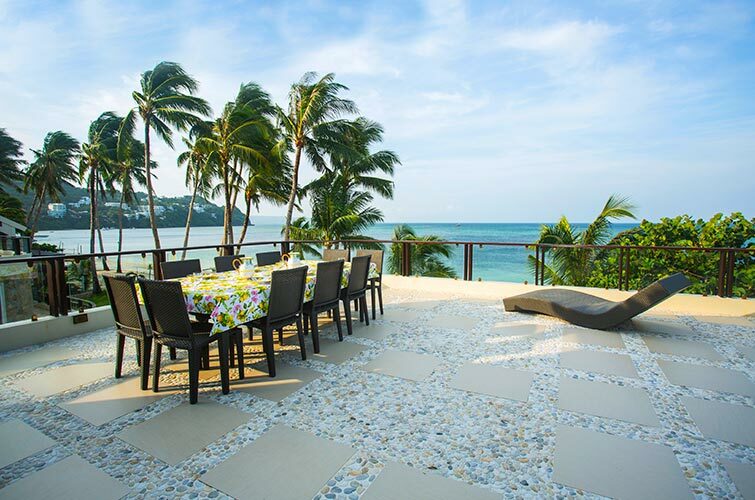 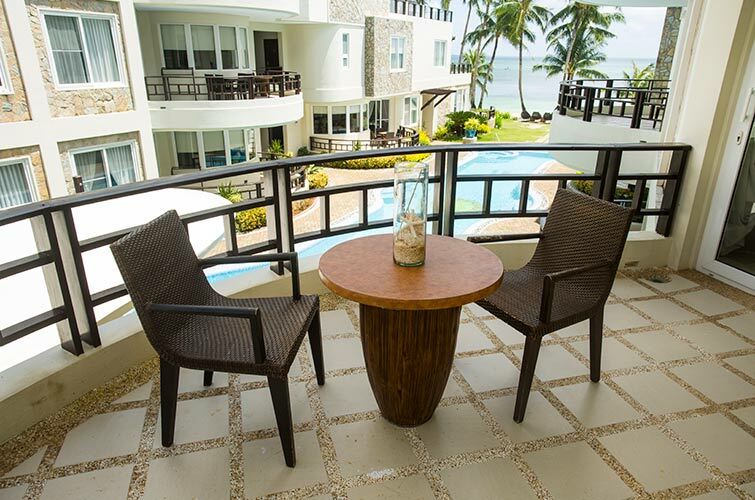 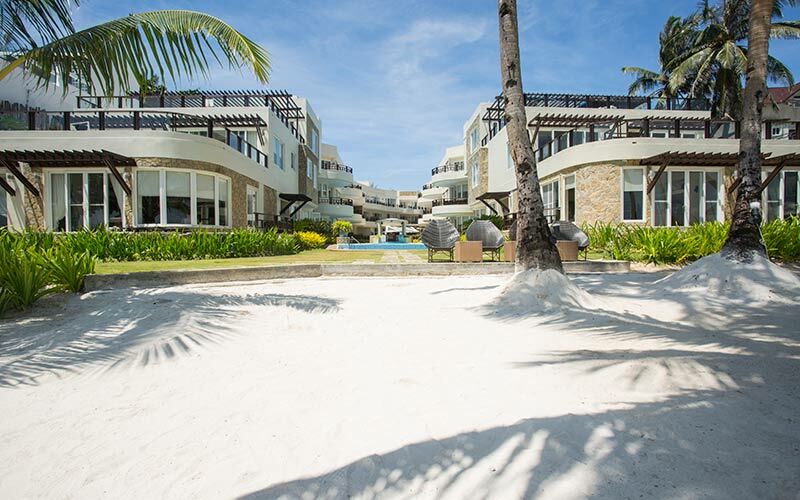 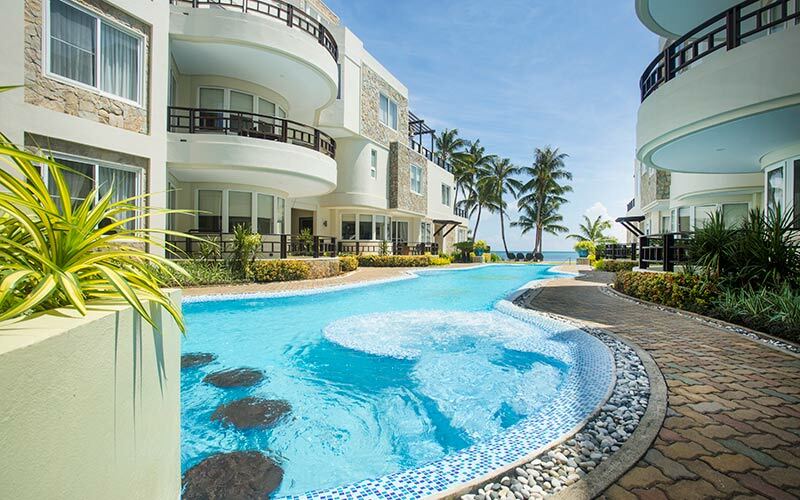 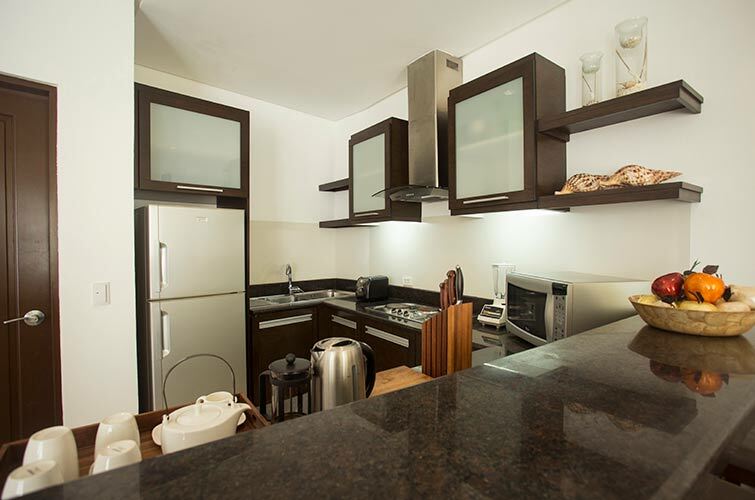 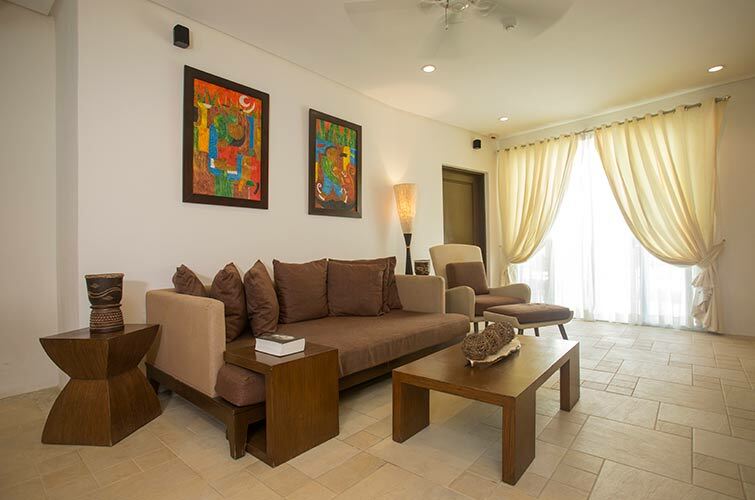 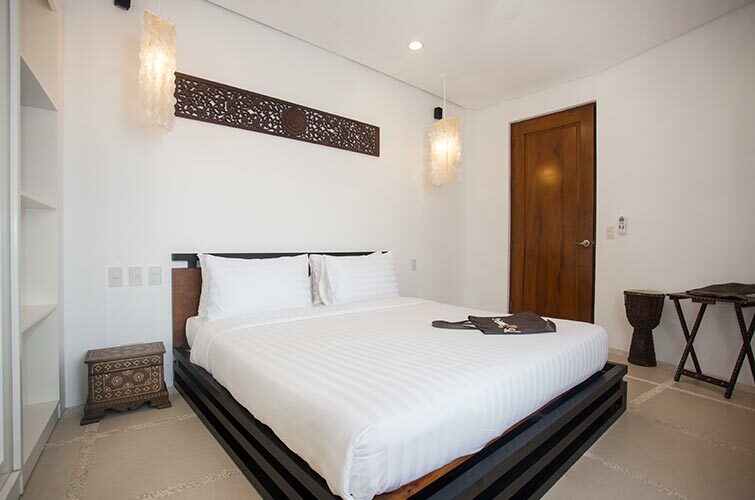 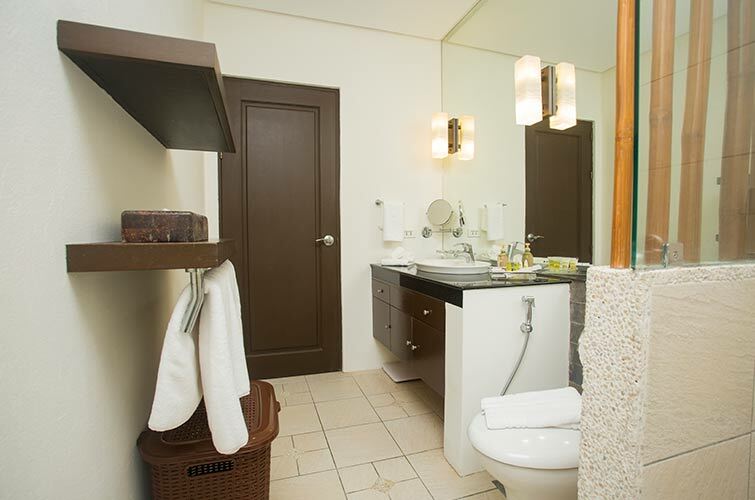 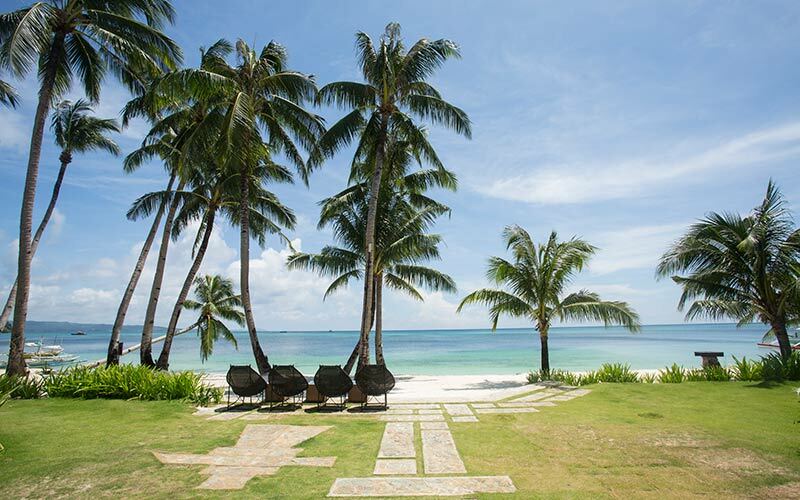 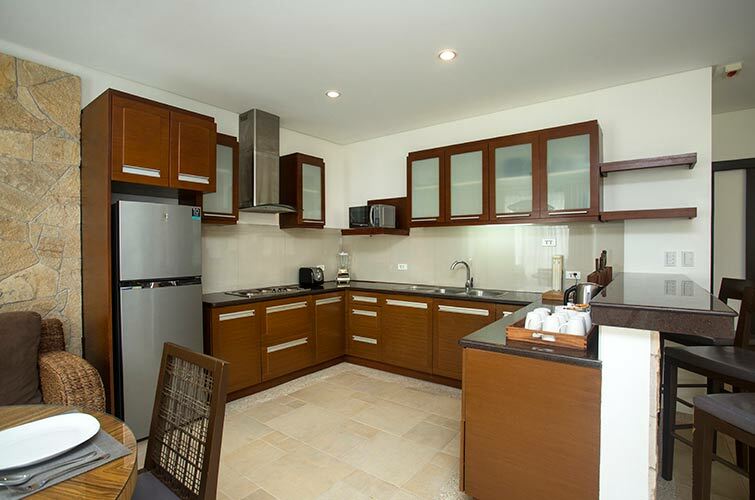 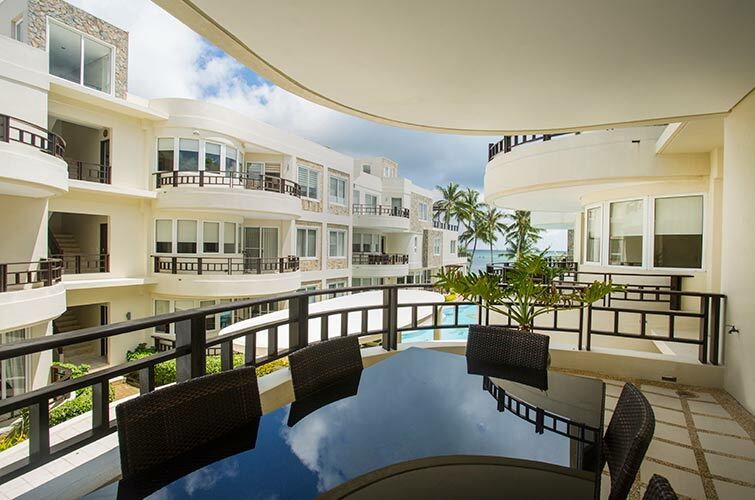 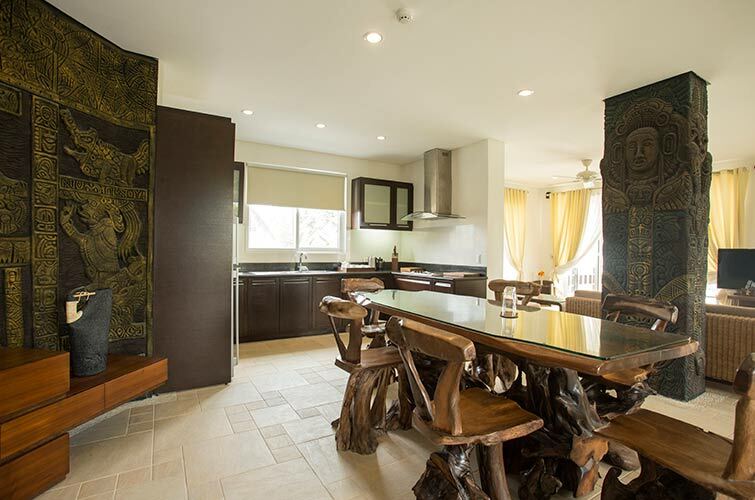 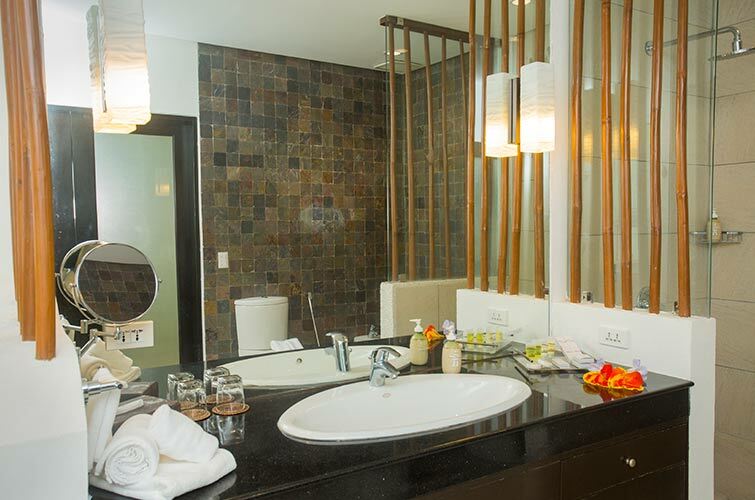 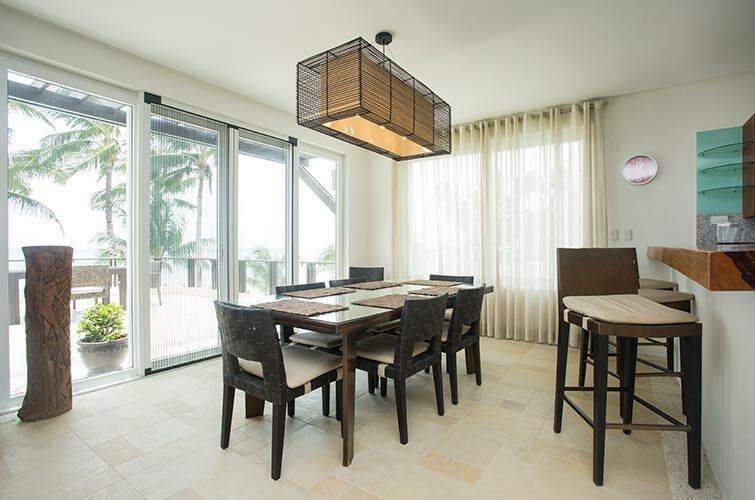 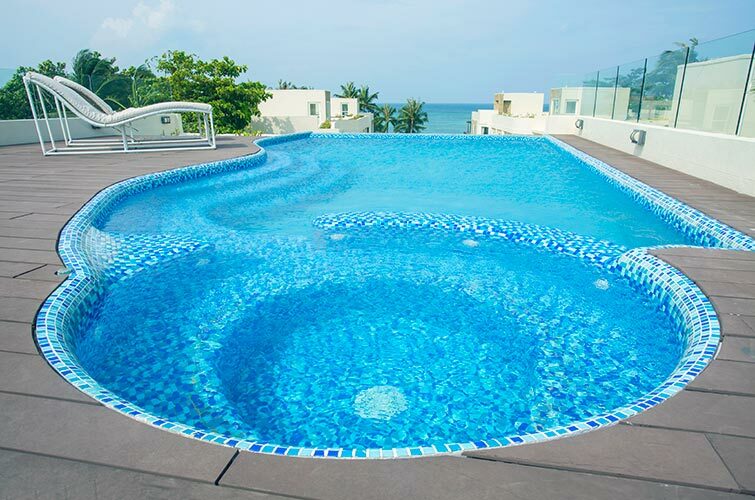 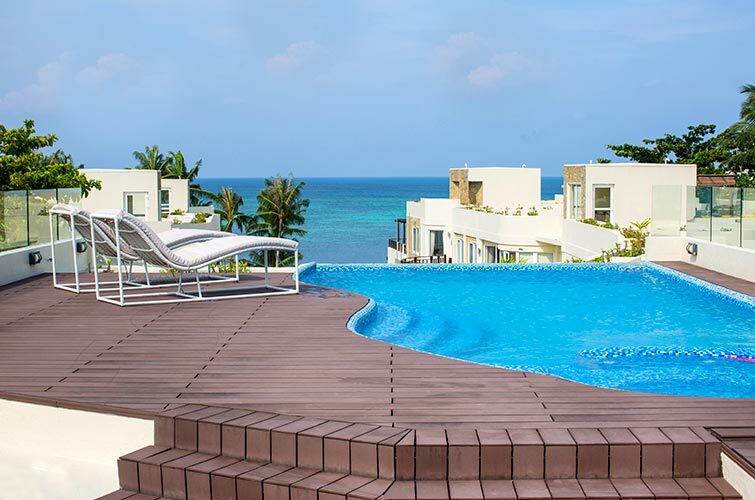 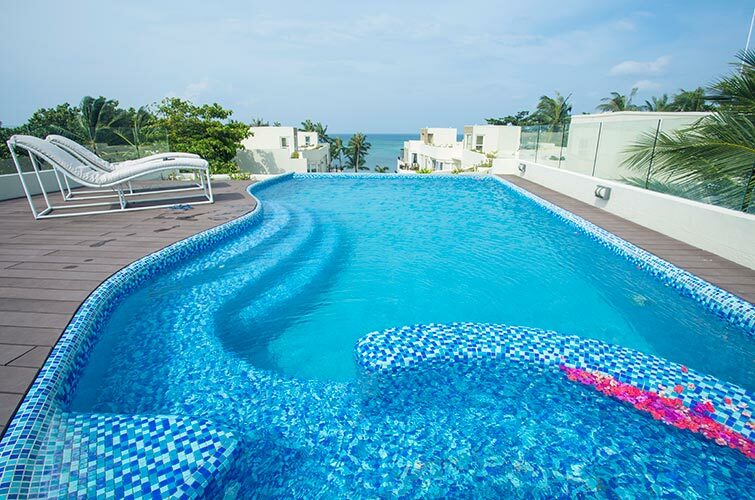 7 Stones Boracay Suites is a high-end luxury condo and hotel on Bulabog Beach with a prime central ocean front location. 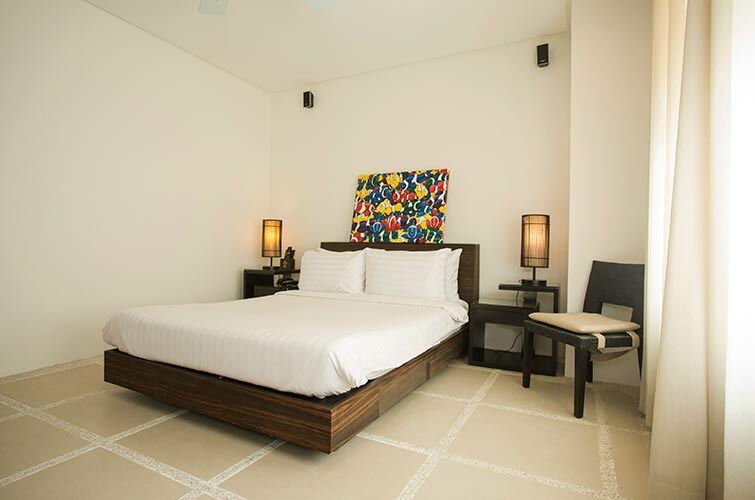 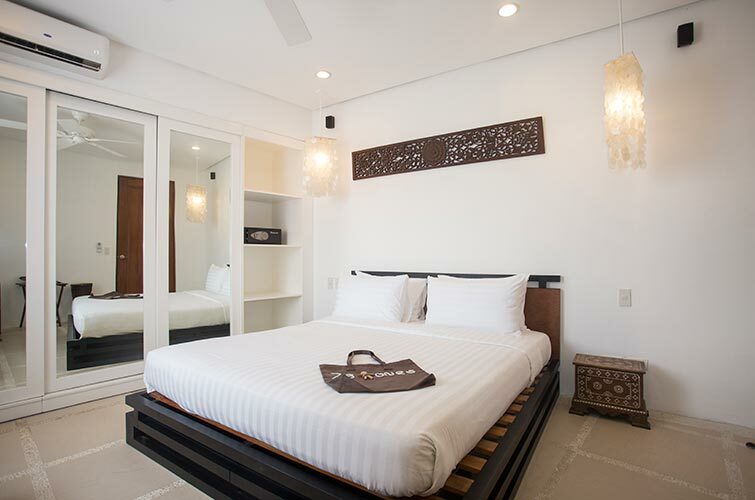 The designer rooms are spacious and modern, with nice ocean views. 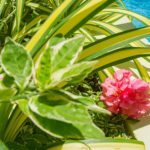 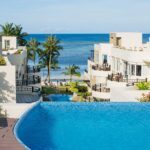 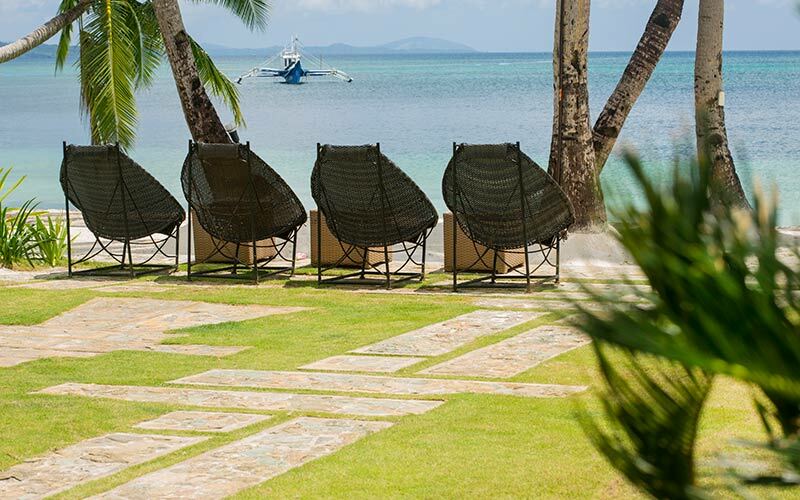 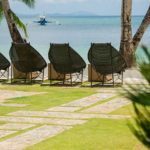 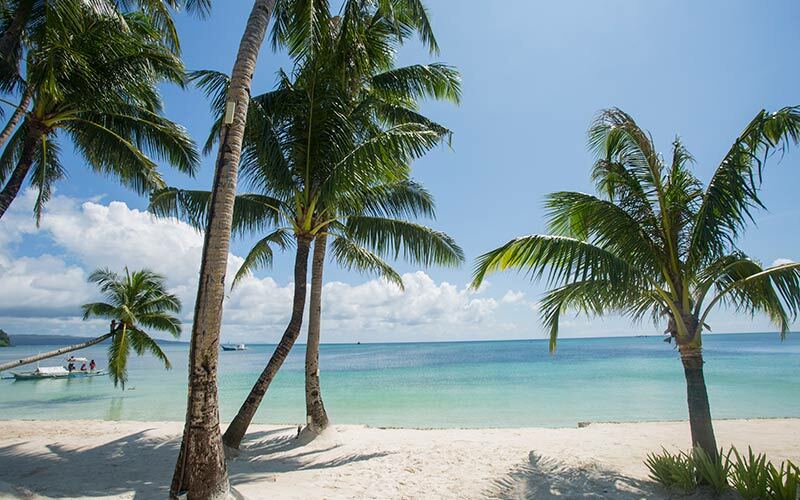 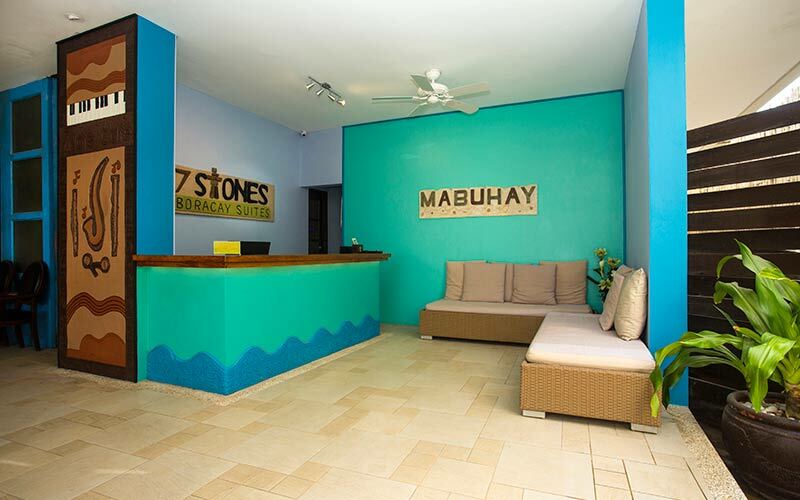 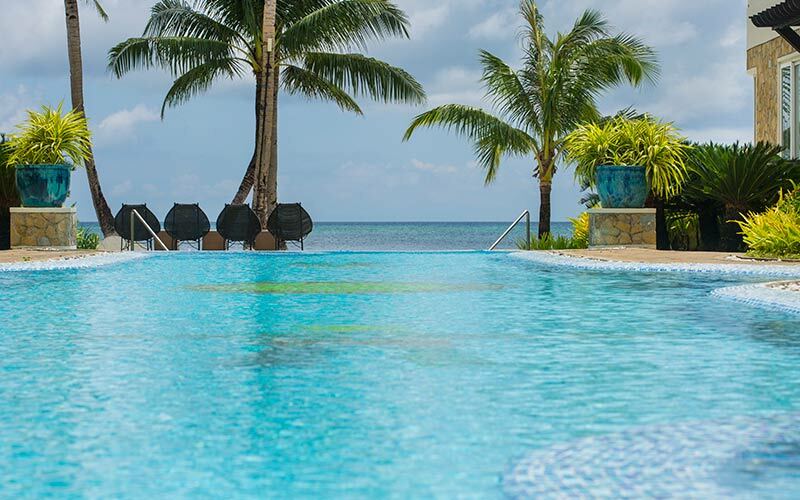 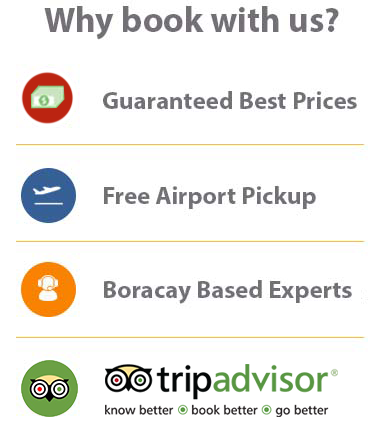 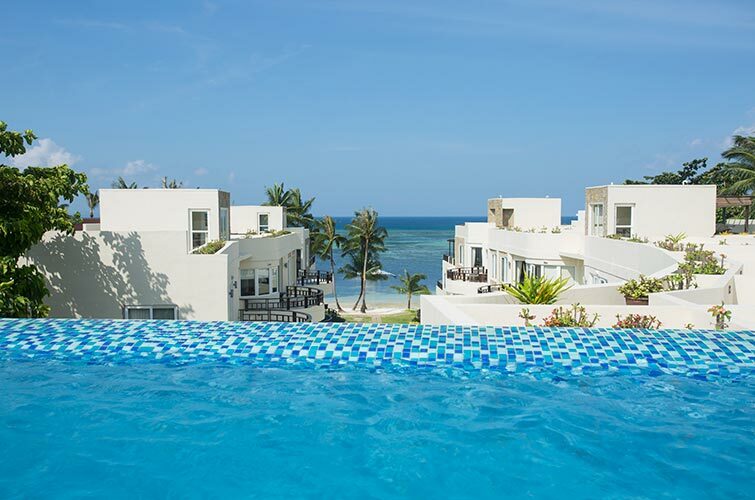 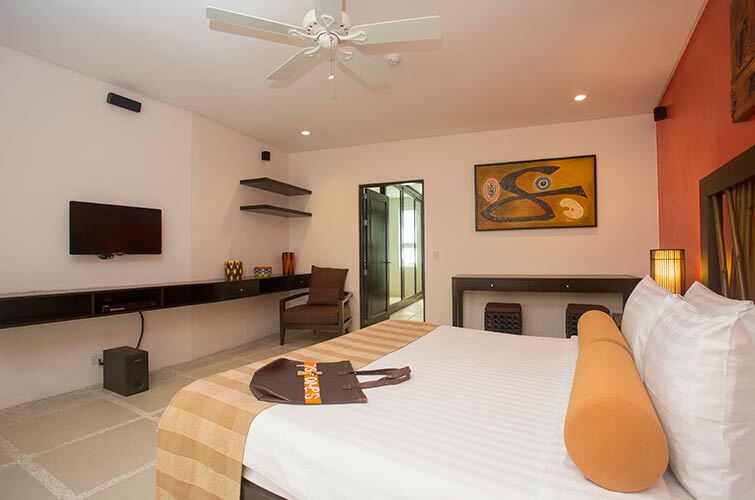 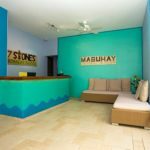 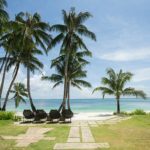 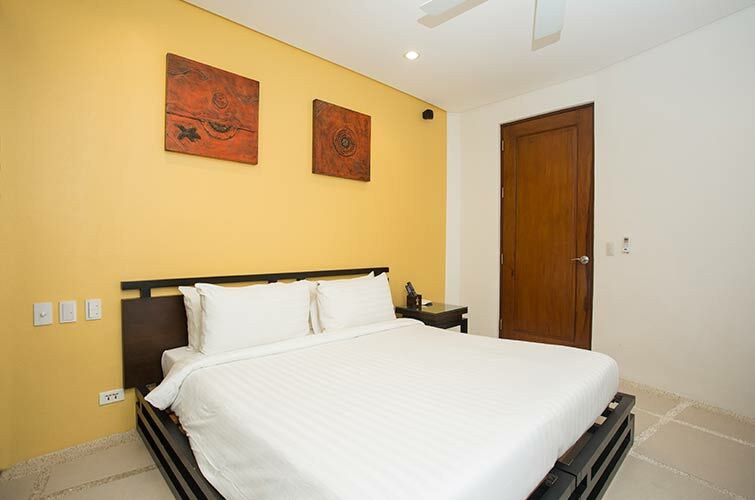 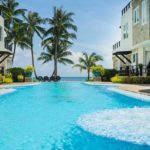 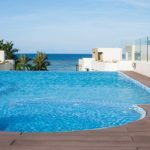 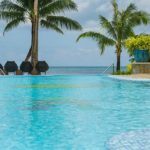 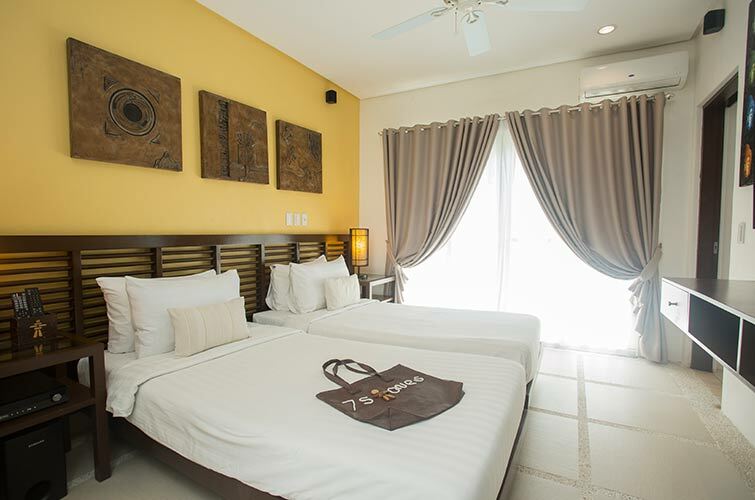 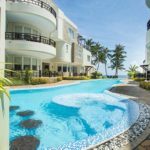 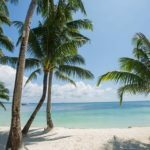 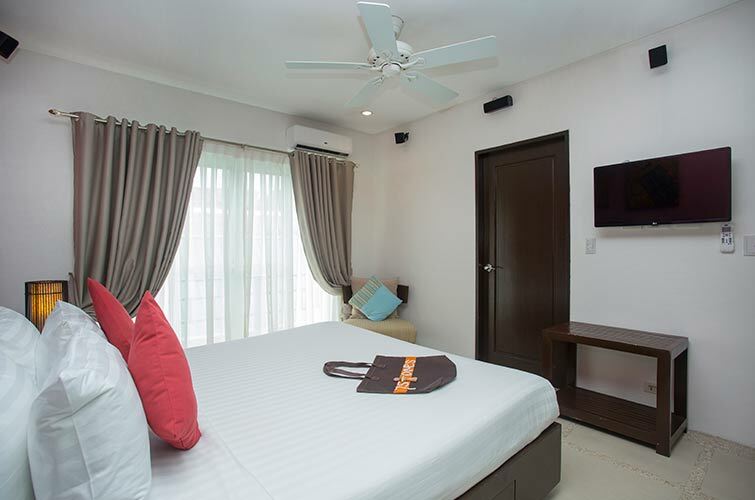 7Stones Boracay Suites is a quality resort with large swimming pool, restaurant and bar in a quiet location less than 7 minutes from White Beach. 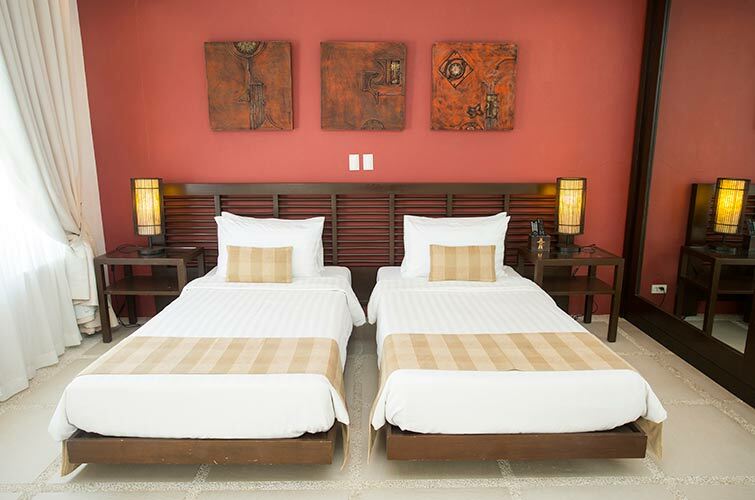 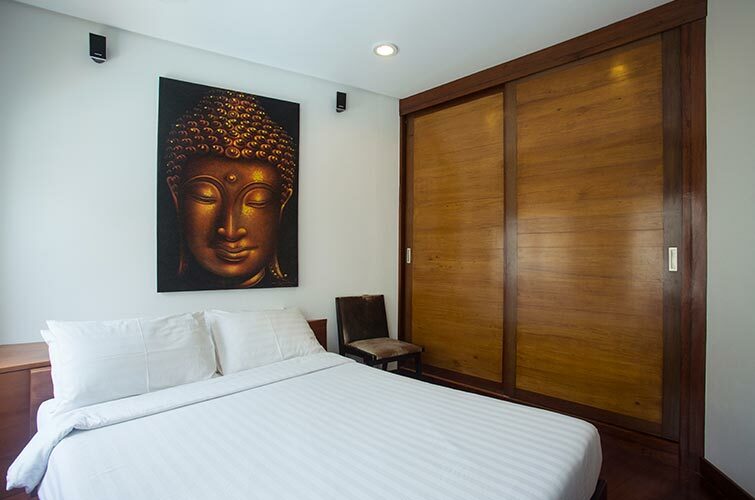 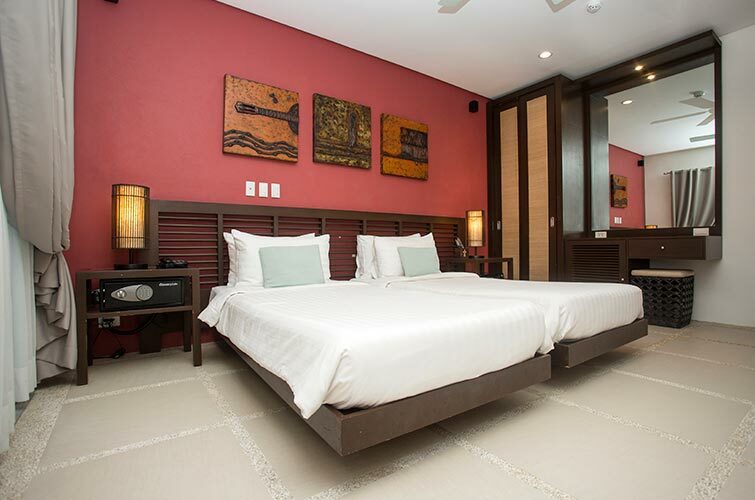 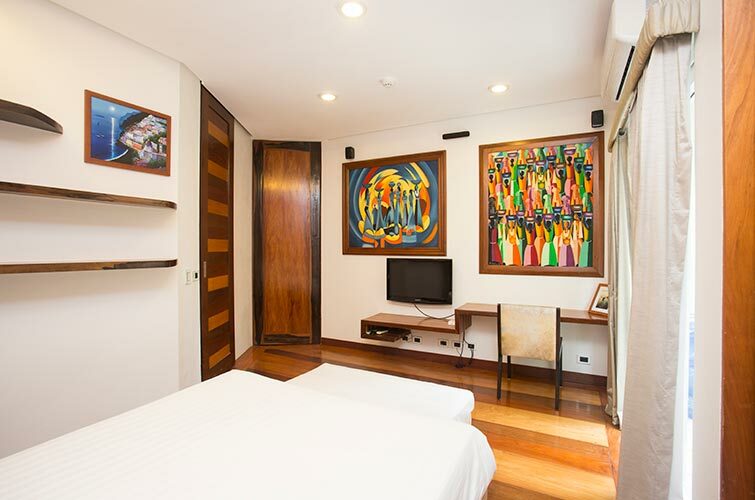 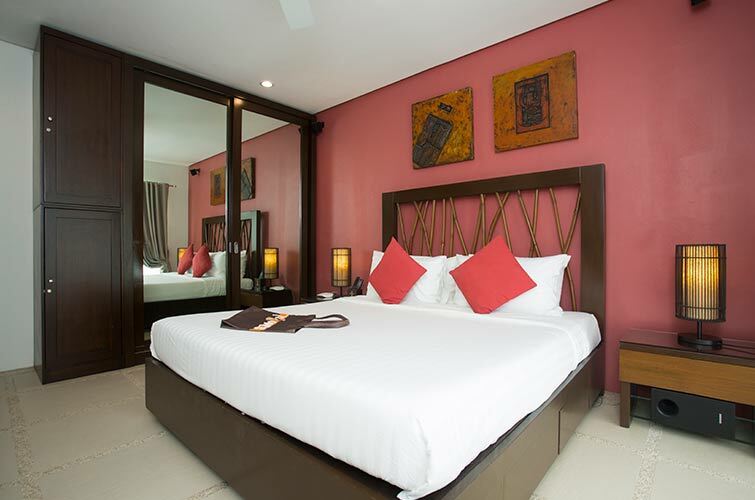 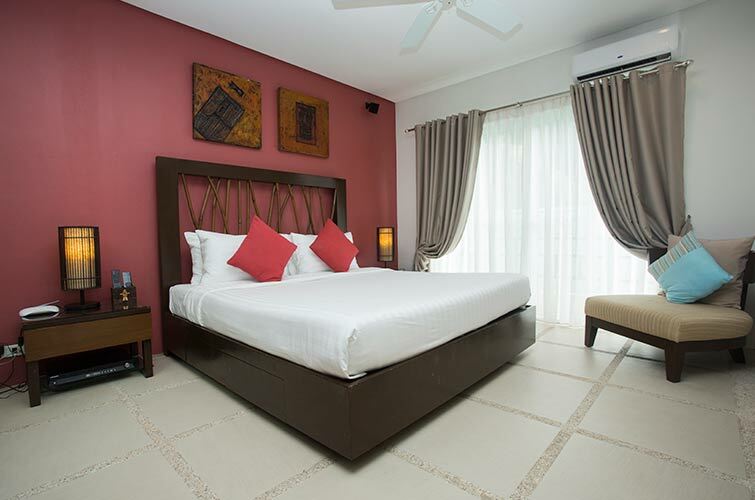 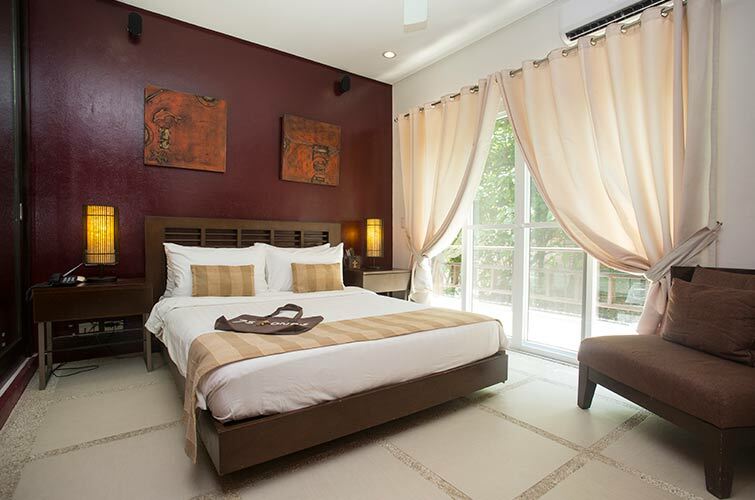 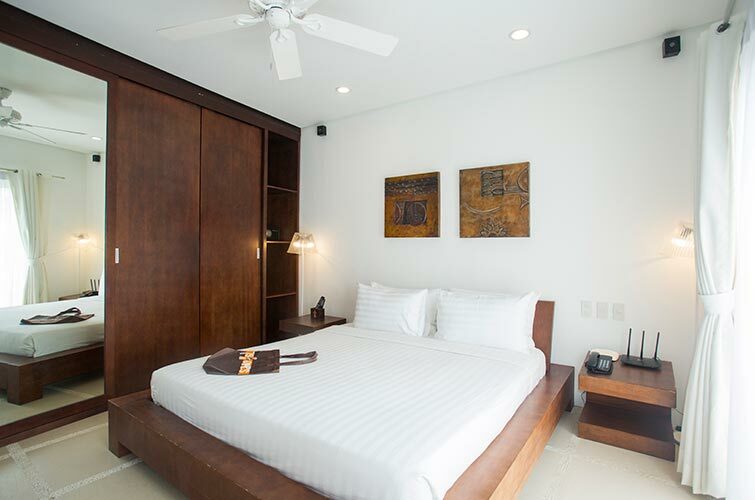 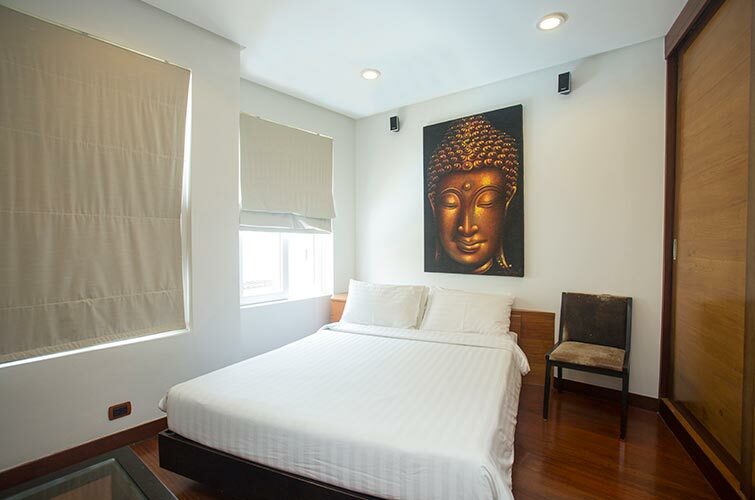 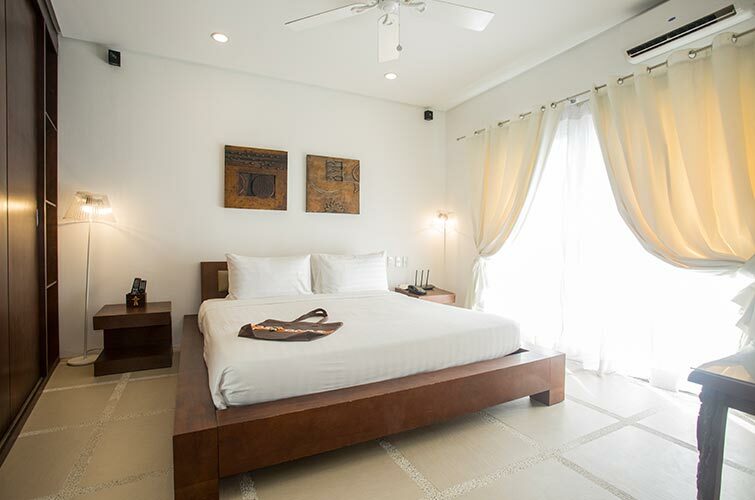 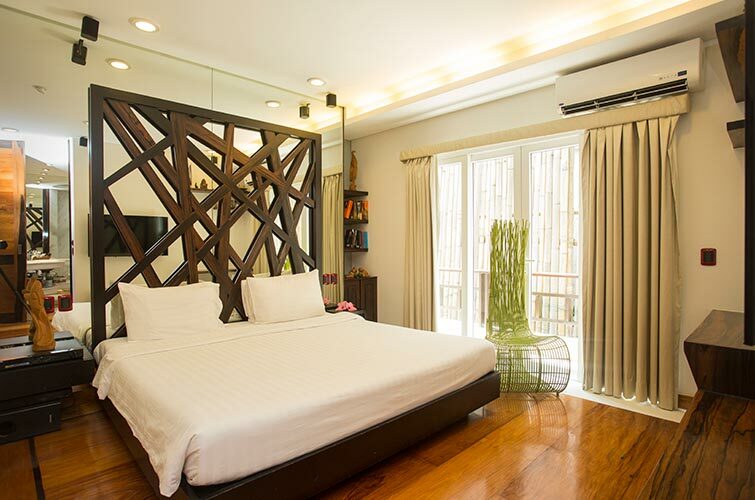 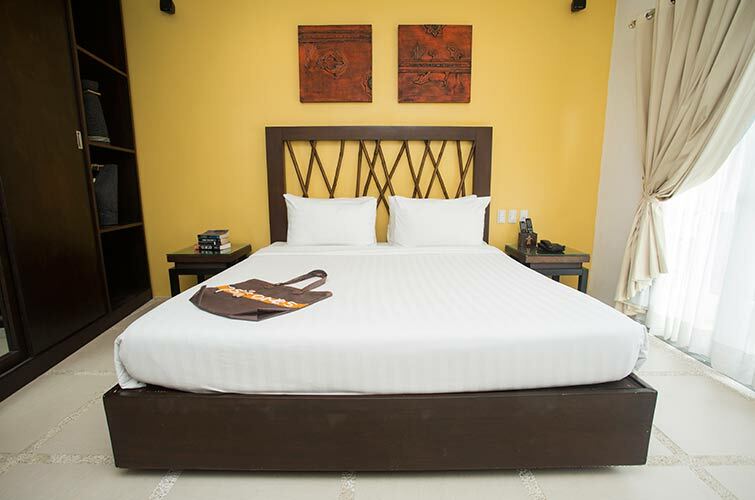 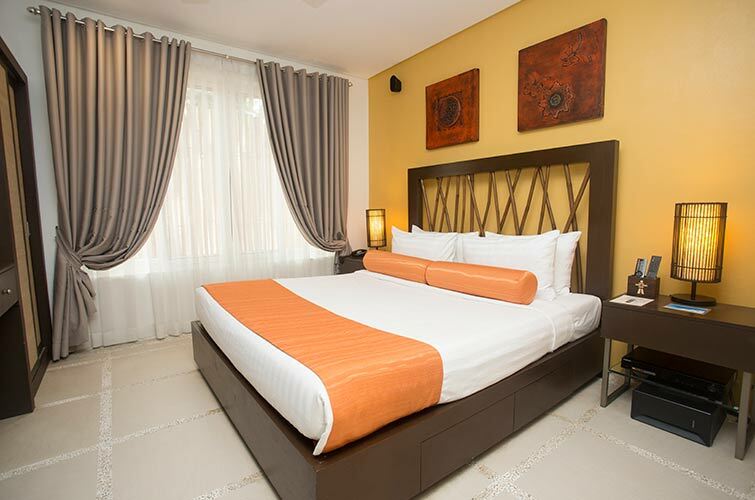 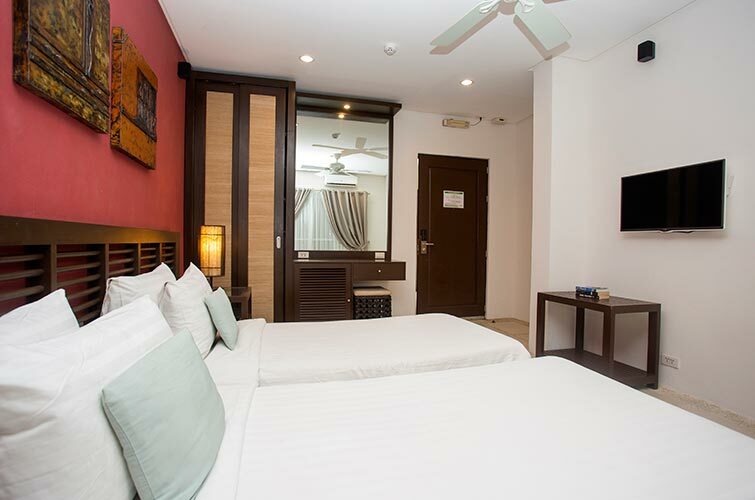 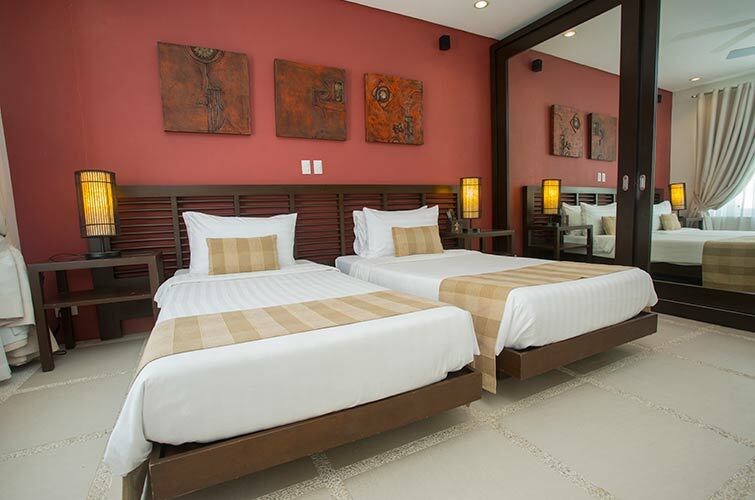 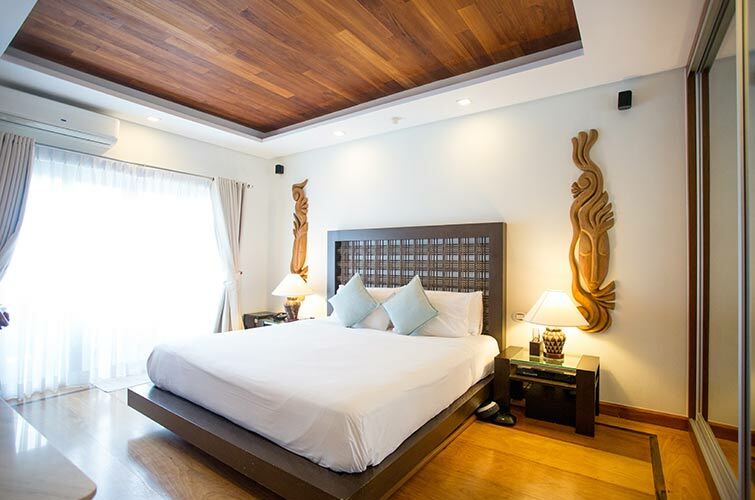 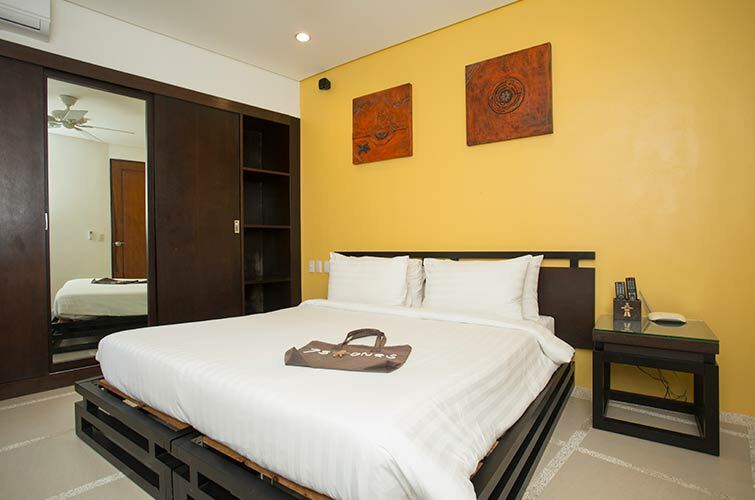 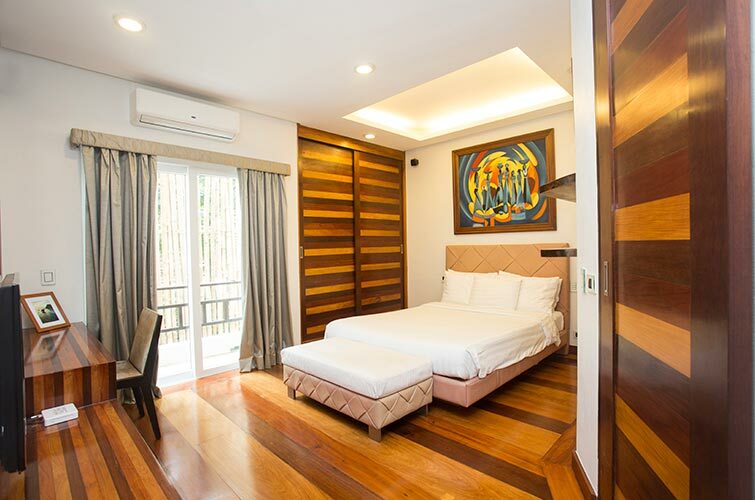 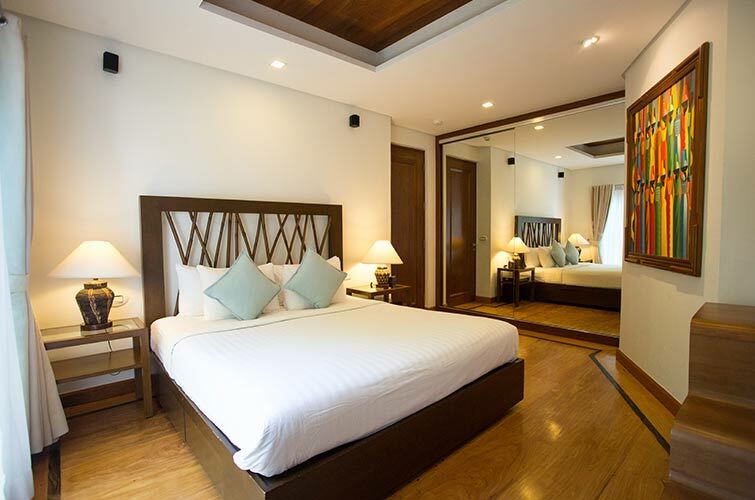 Stay in this cozy and spacious bedroom furnished with either king bed or twin beds. 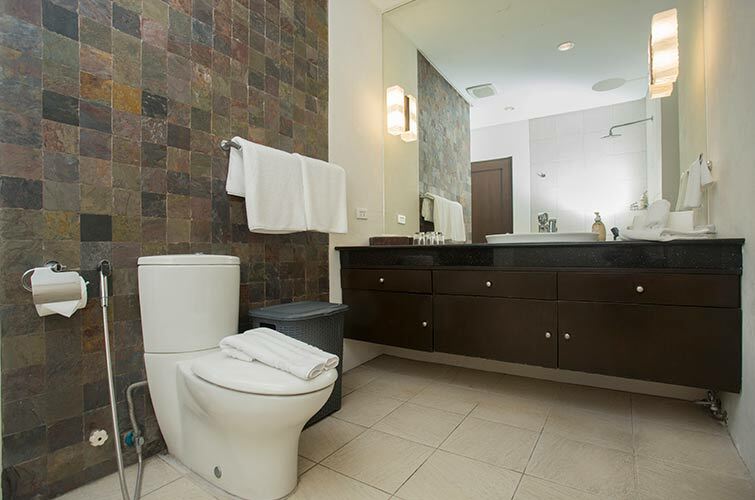 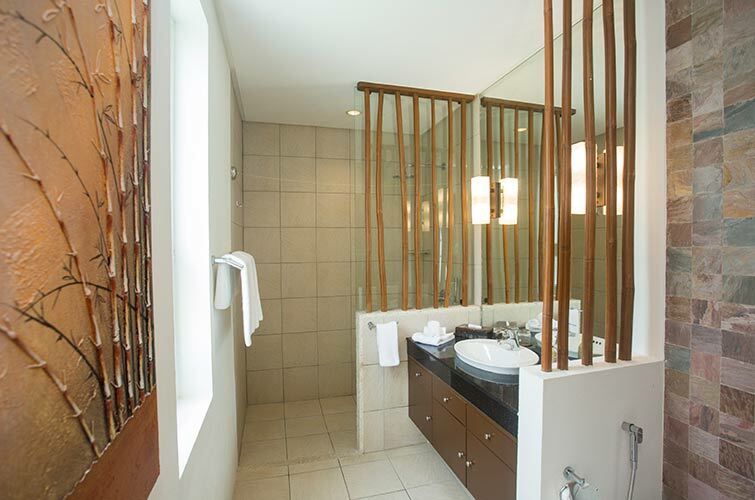 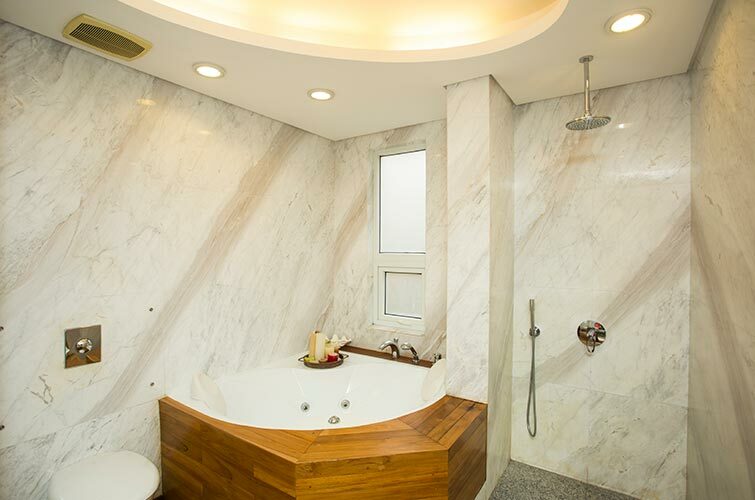 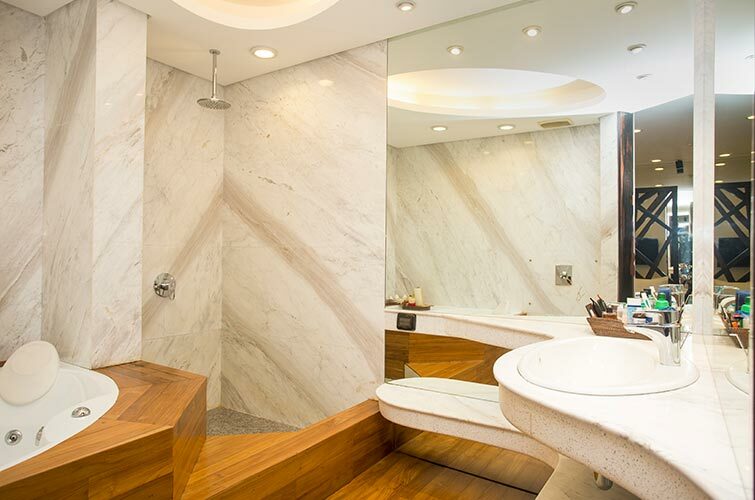 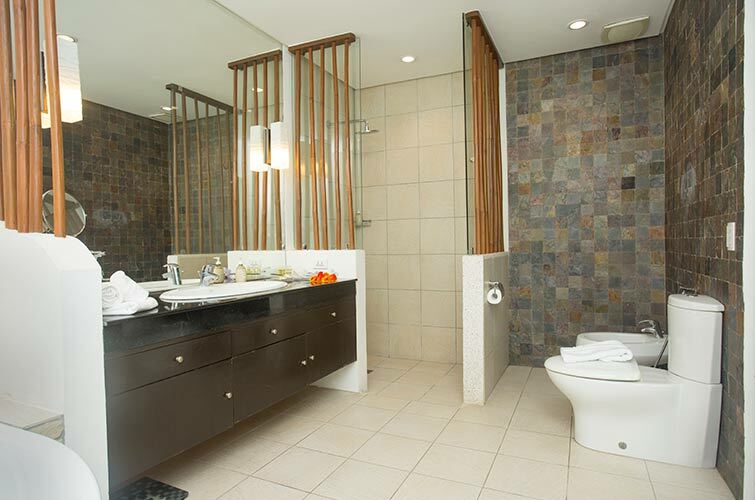 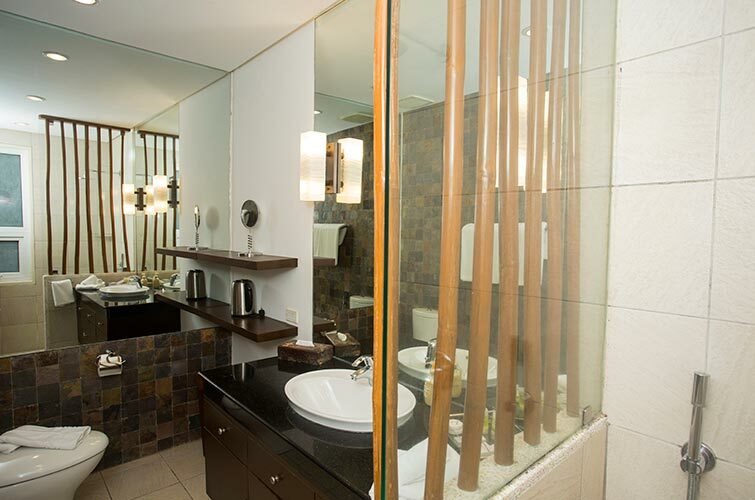 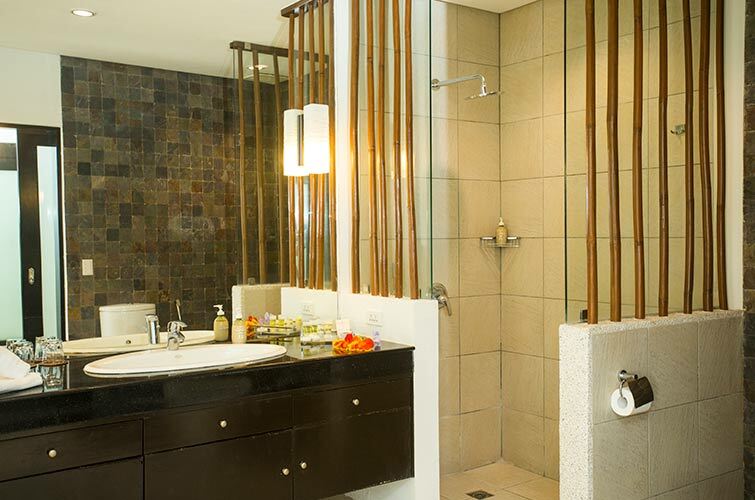 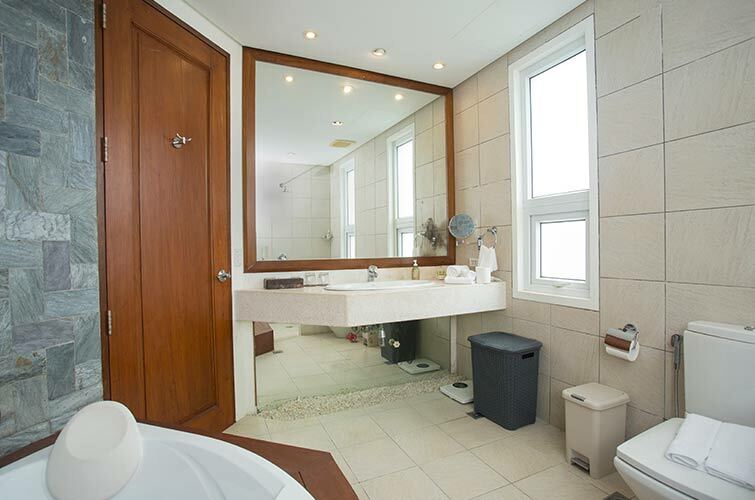 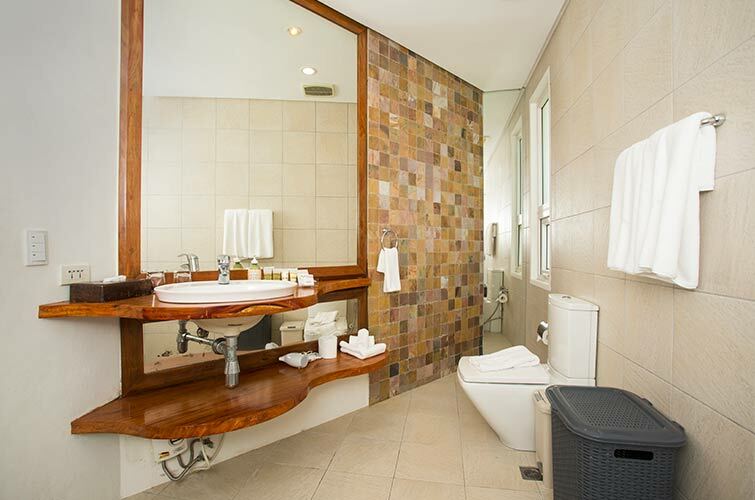 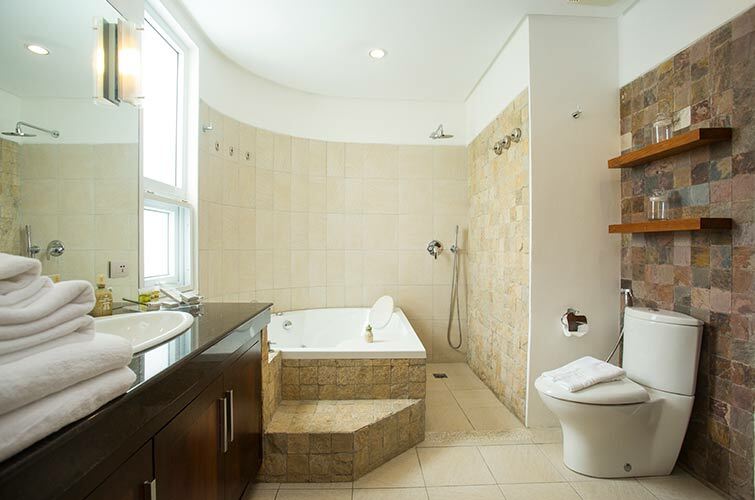 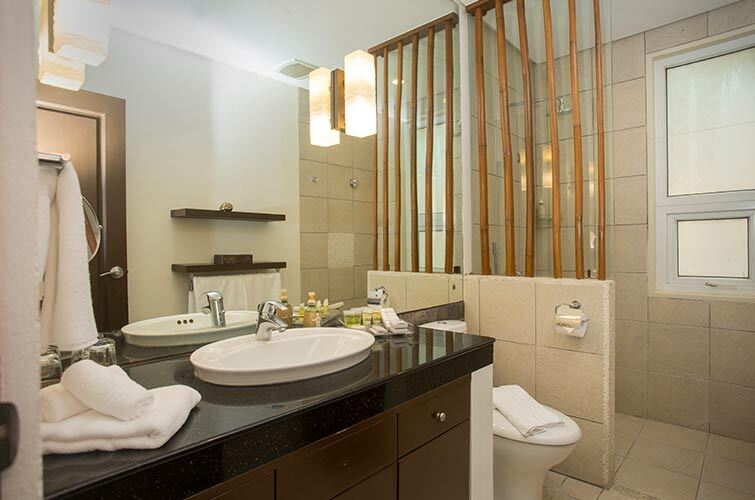 Appointed with stylishly designed large en-suite bathroom, Superior Rooms provide guests privacy yet tranquil atmosphere. 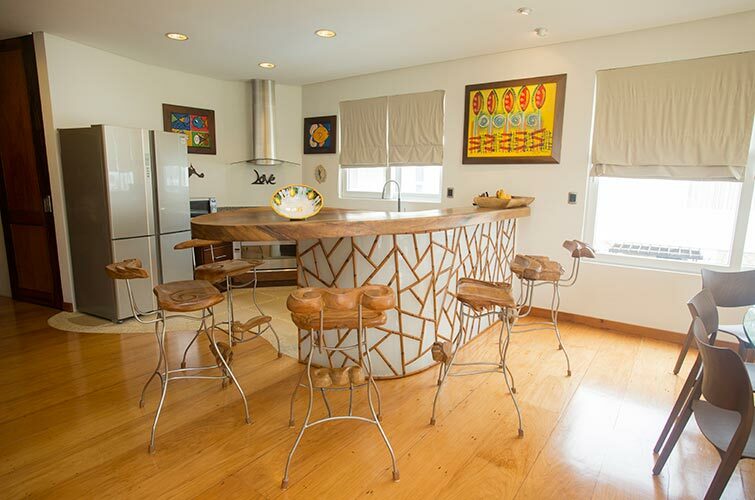 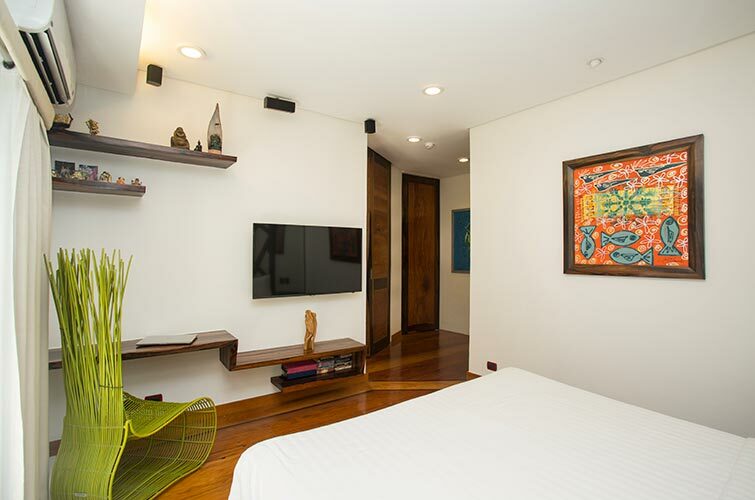 Enjoy a suite life in this stylishly designed one-bedroom apartment. 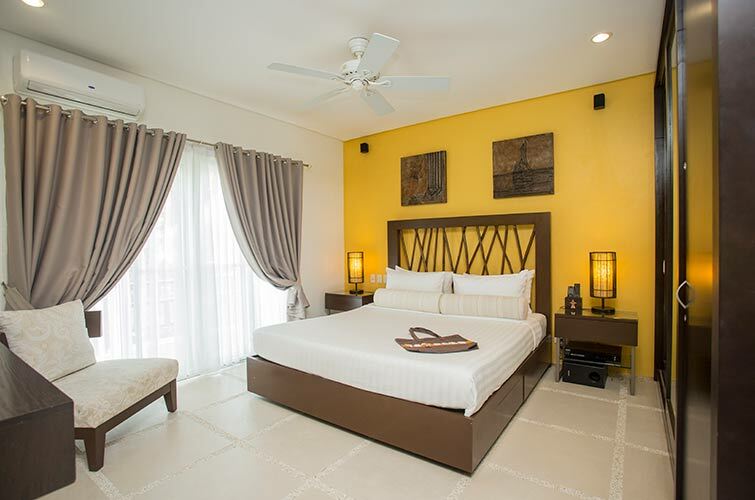 The Junior Suite is furnished with a king bed, large en-suite bathroom, fully equipped kitchen, open-plan dining area, and elegant living area. 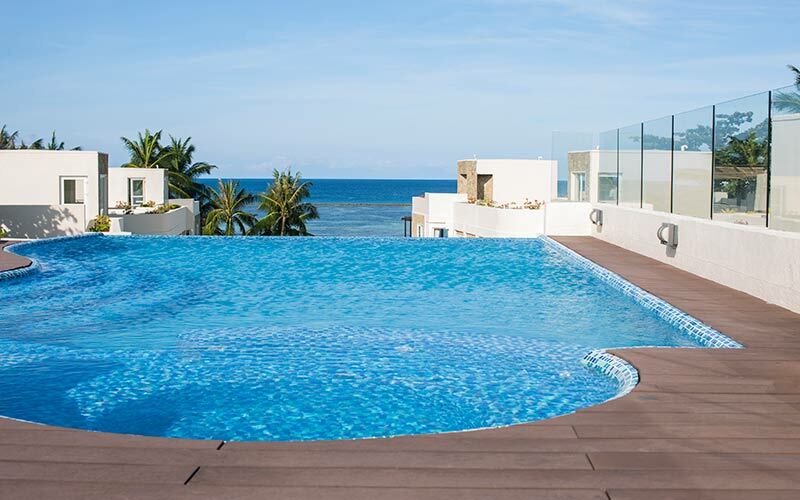 Located on the ground level, the Junior Suite provides easy access to the pool and offers stunning views from its balcony. 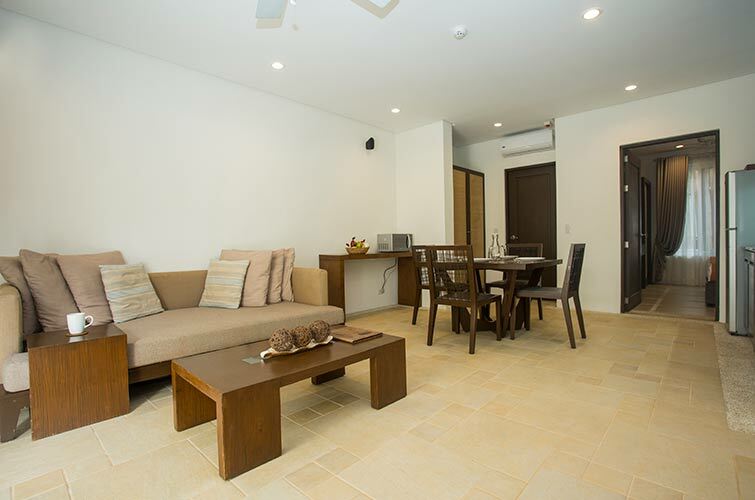 Our very popular, professionally designed, One Bedroom Apartment with its large living room, fully equipped kitchen and dining area. 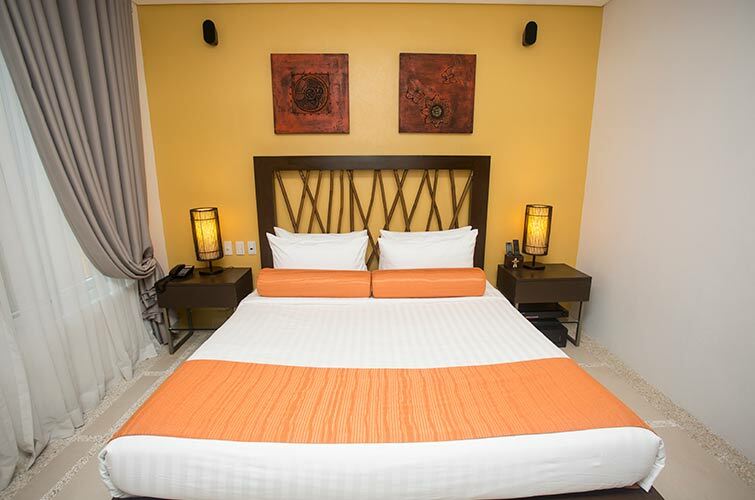 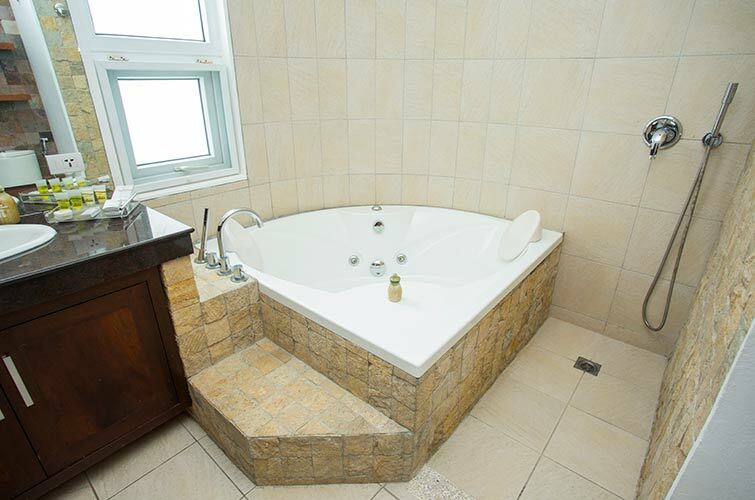 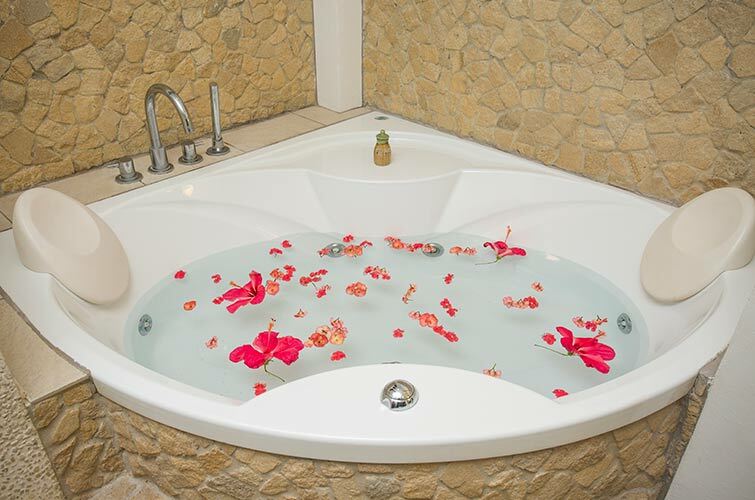 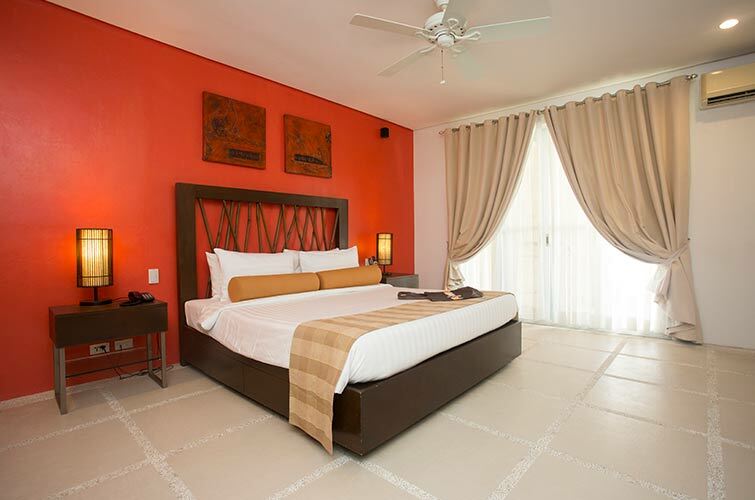 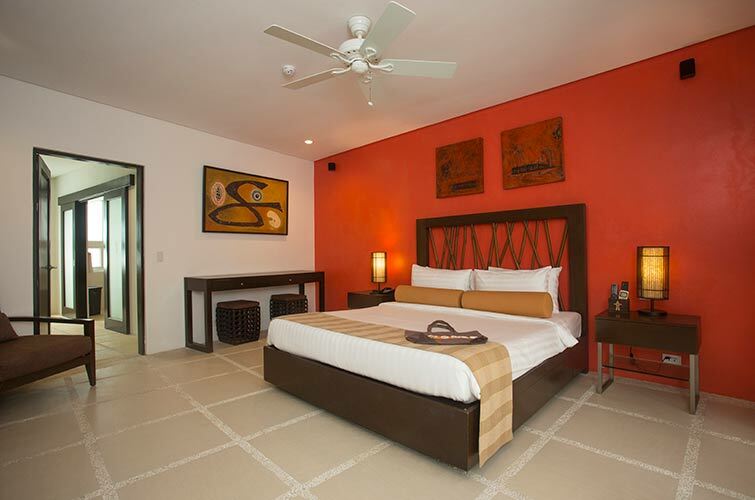 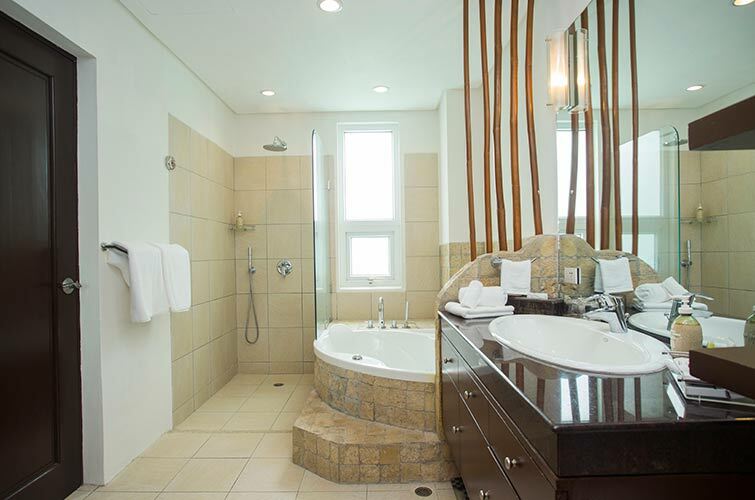 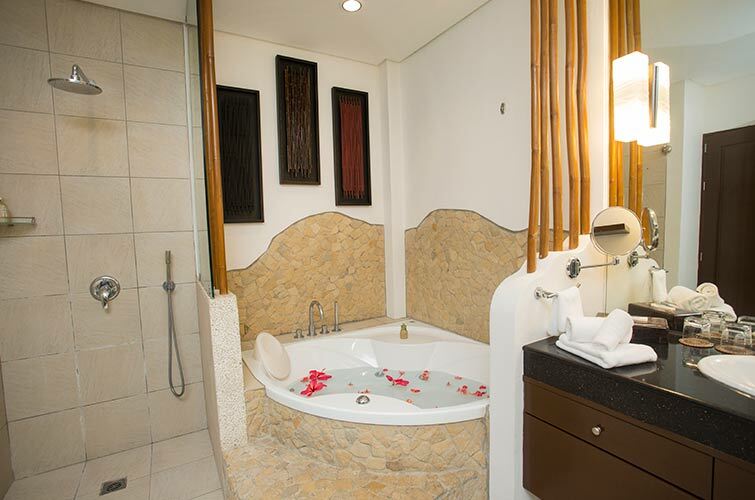 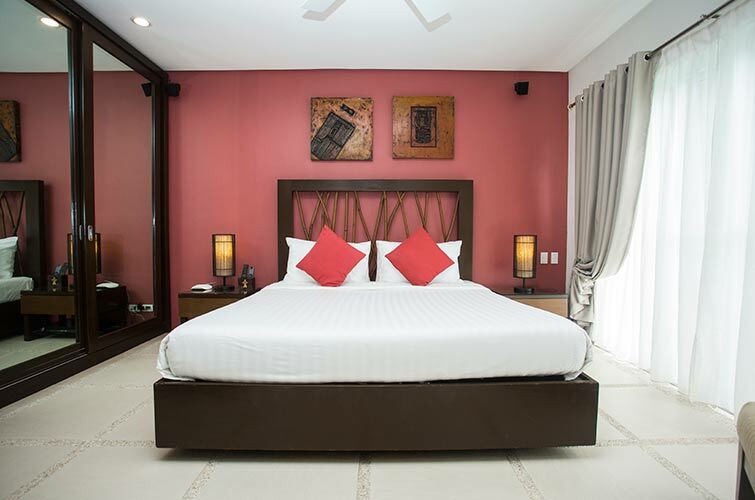 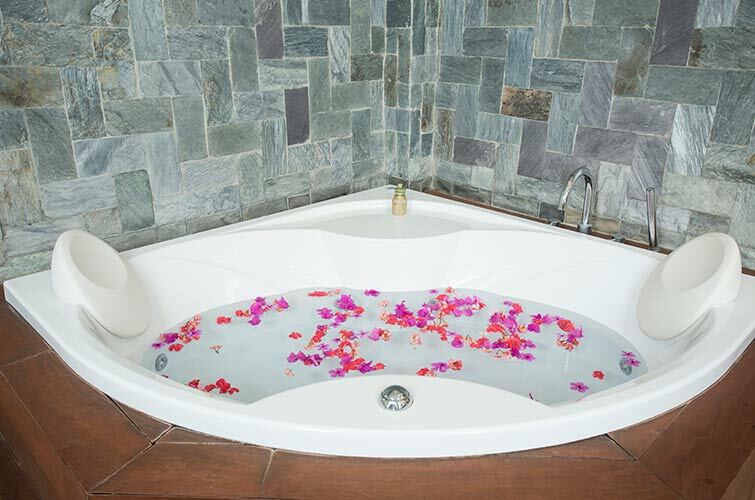 Perfect for honeymooners and couples, the Premier One Bedroom Suite offers an elegant bedroom with king bed and a large en-suite bathroom with Jacuzzi. 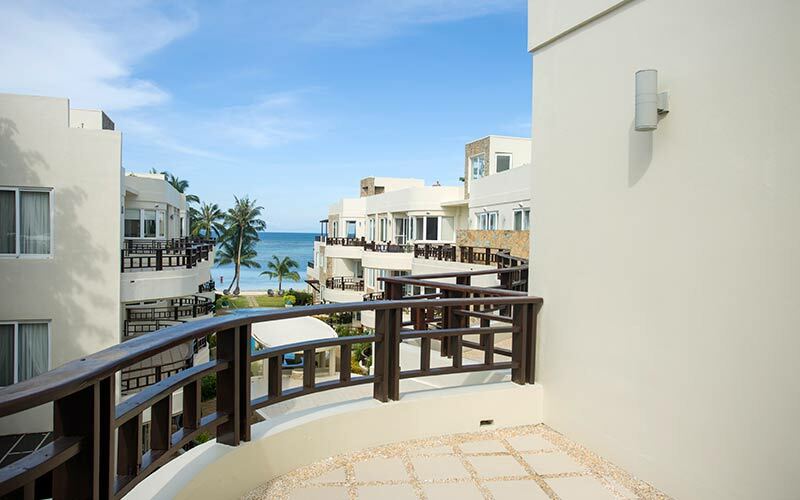 Enjoy the spacious ocean view balconies! 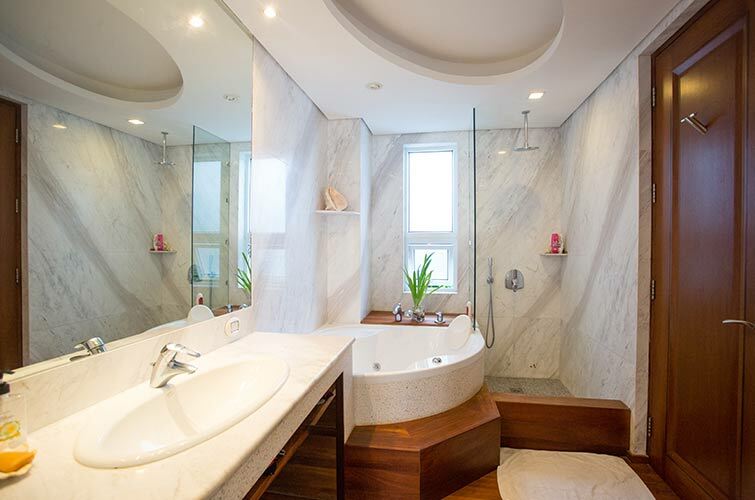 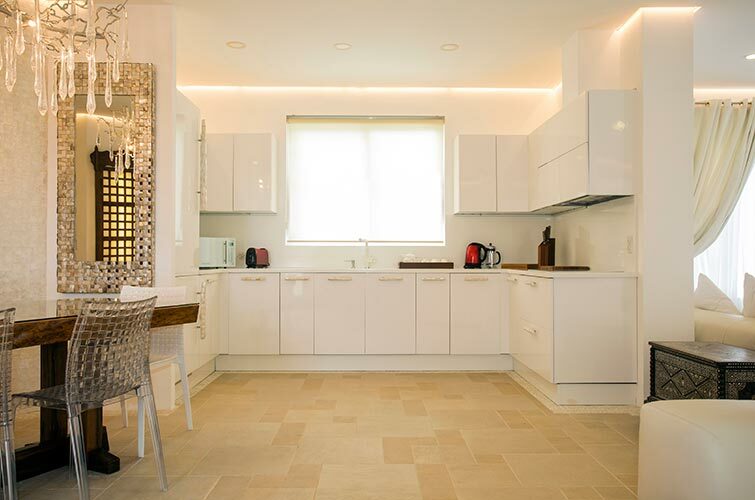 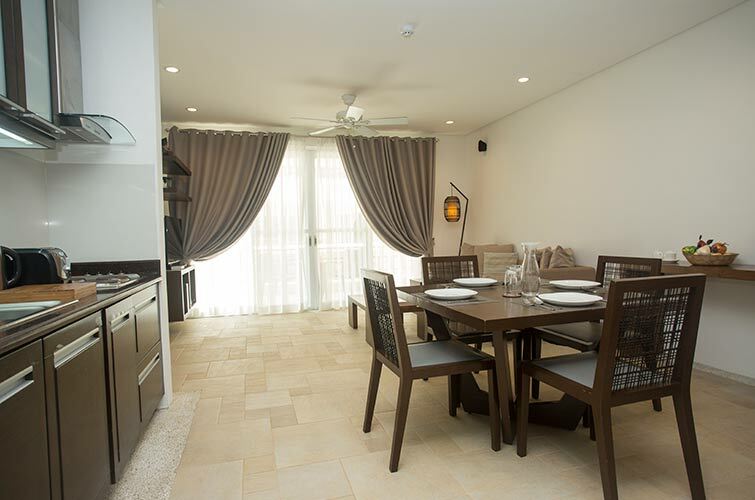 Surround yourself in the comfort of this luxurious two-bedroom apartment offering a sophisticated living room, fully equipped kitchen, open-plan dining area, and large en-suite bathrooms with Jacuzzi. 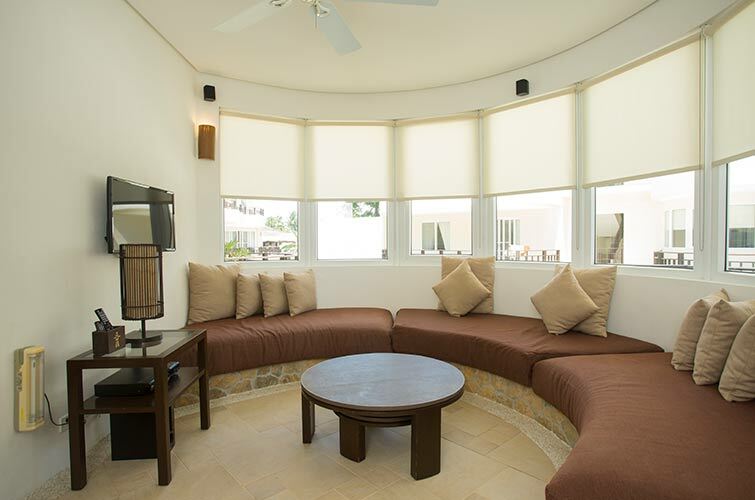 The Family Suite’s spacious interior space and balcony with overlooking pool and sea views give relaxing and incomparable stay. 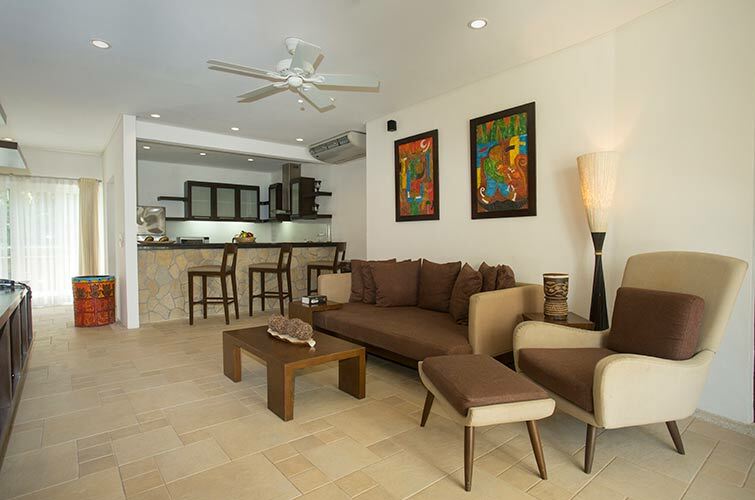 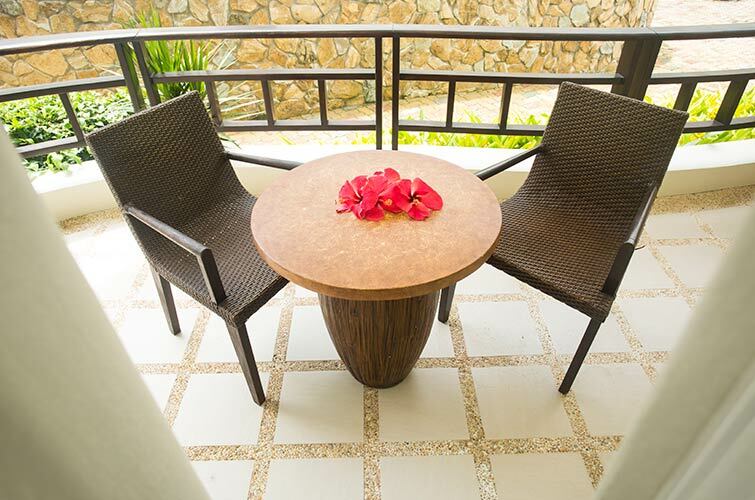 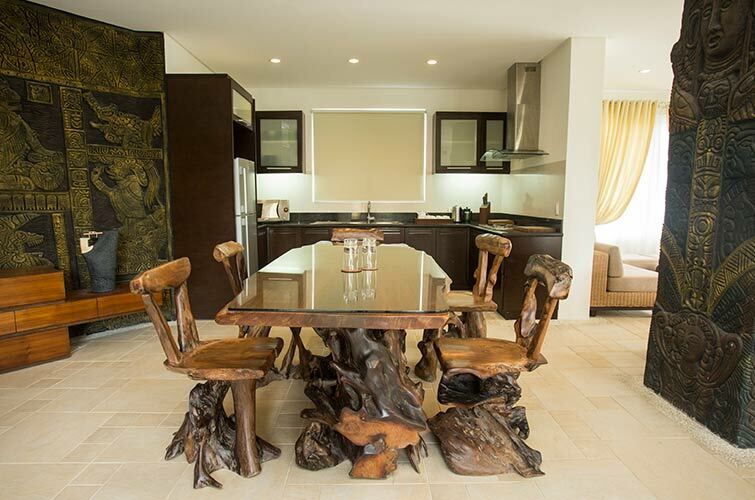 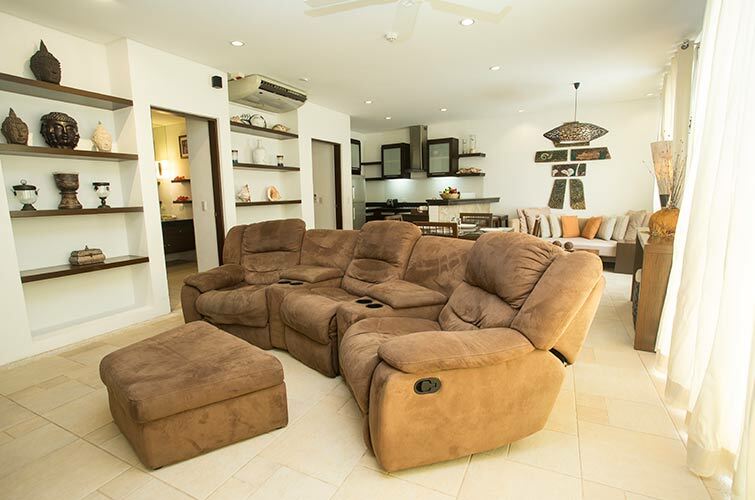 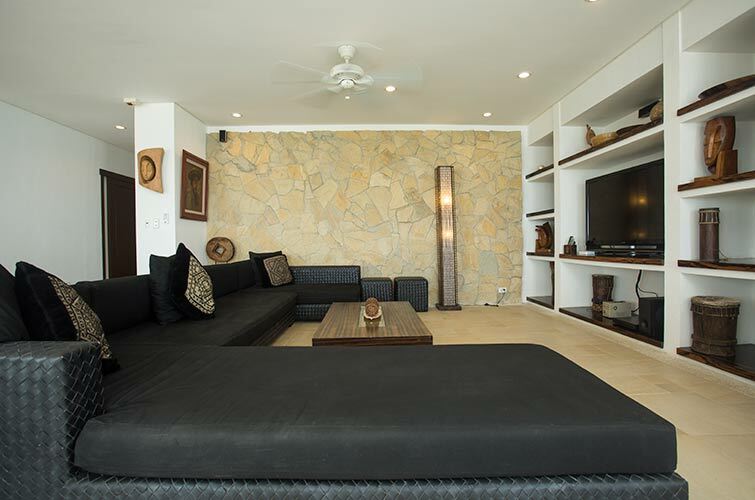 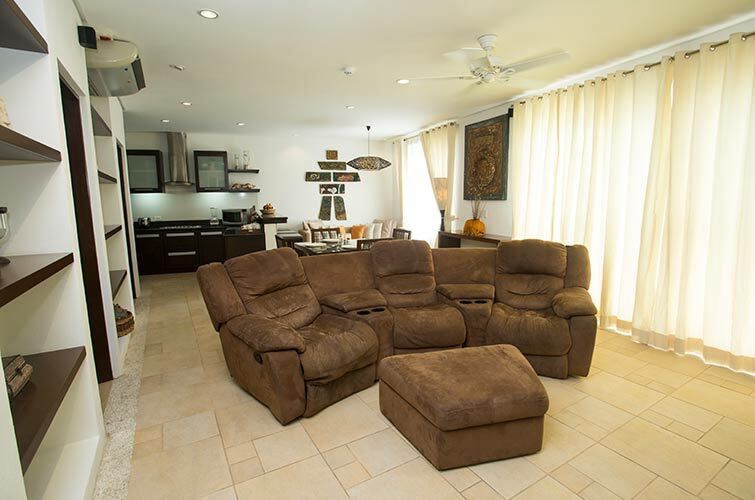 The property is perfect for small families of 4, couples, honeymooners or a group of friends. 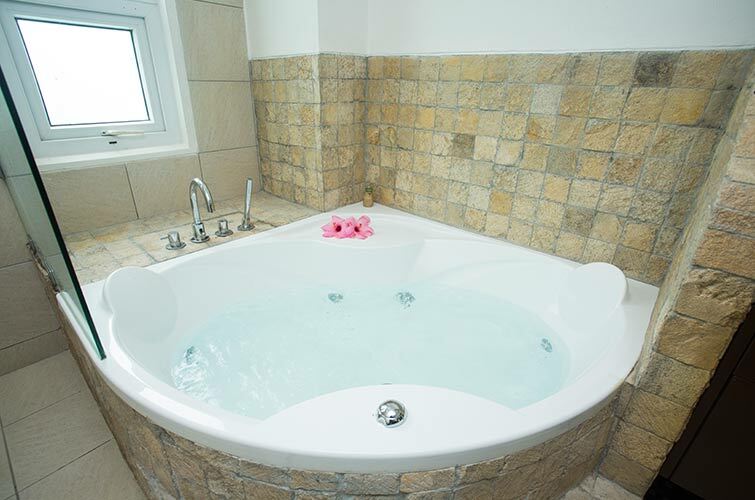 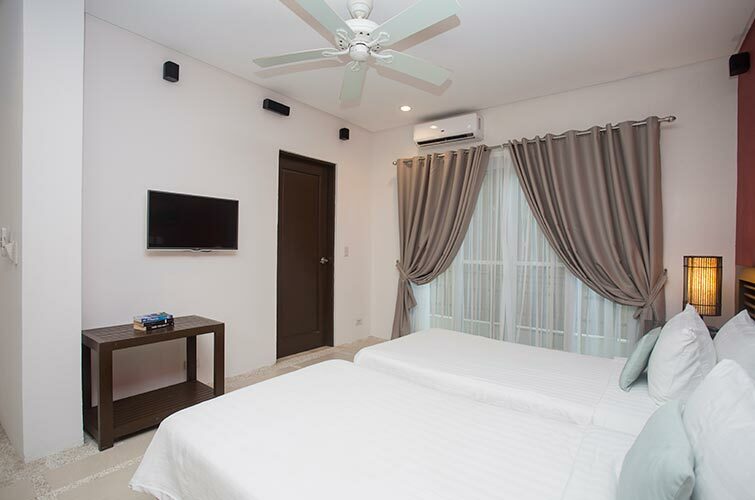 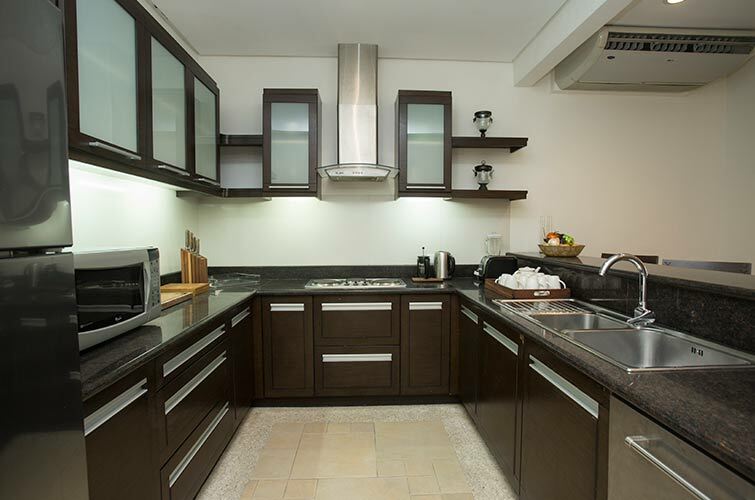 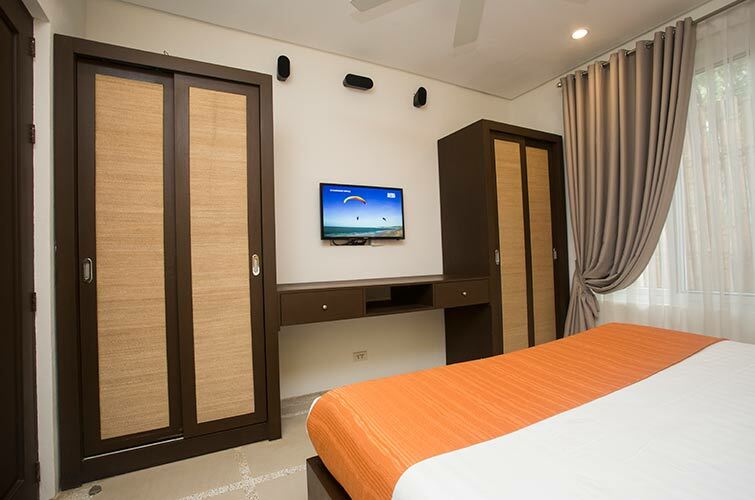 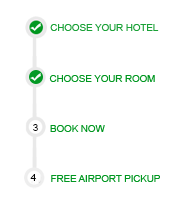 It comes with daily housekeeping, so you'll feel spoiled just like in a 5 stars hotel, but you'll have all the conveniences of living in a large, warm home with balconies facing the most amazing sunrise, 65" wide TV, bluetooth speakers and WIFI to keep connected with the world. 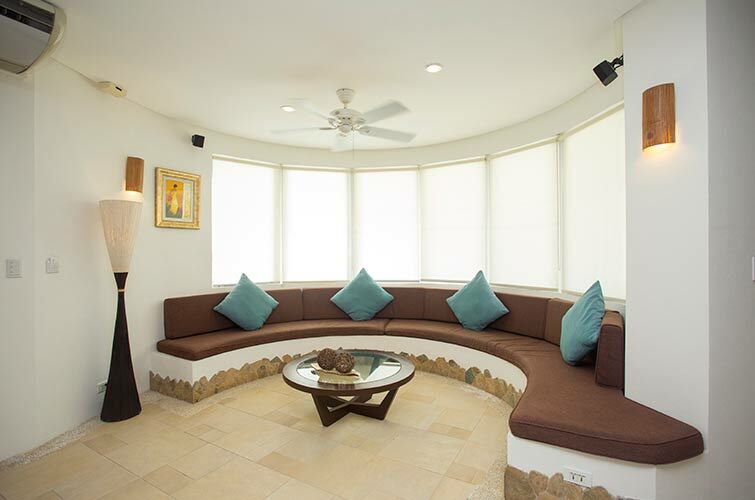 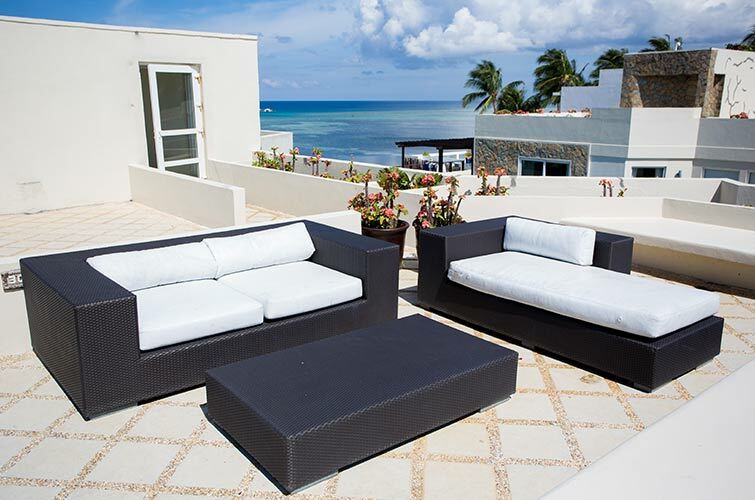 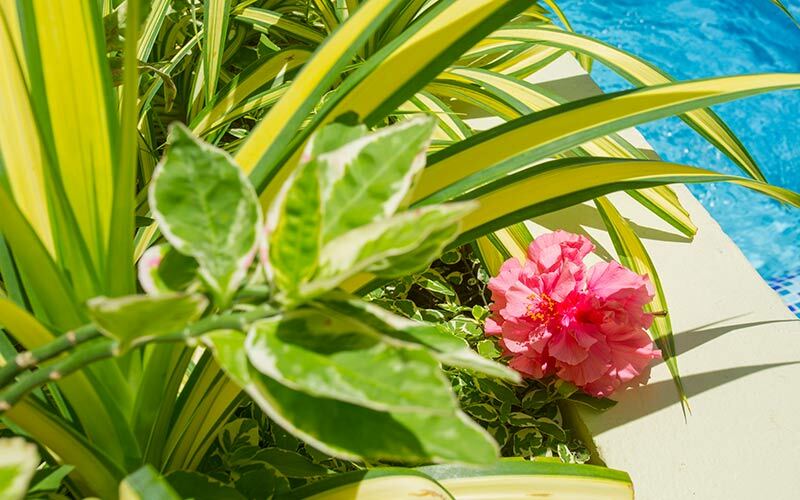 You also have access to your private space on the fully furnished roof deck, where you'll find beach beds and a lounge area for your sunbathing or sunset sessions. 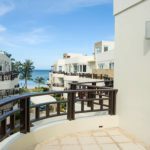 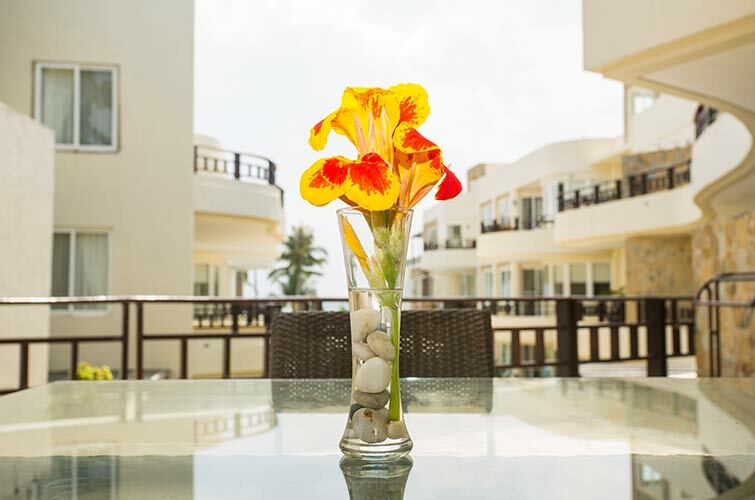 Enjoy this fantastic apartment directly on the beach with a huge beachfront balcony and ocean view. 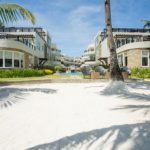 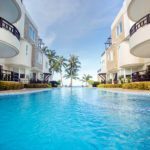 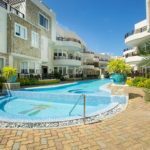 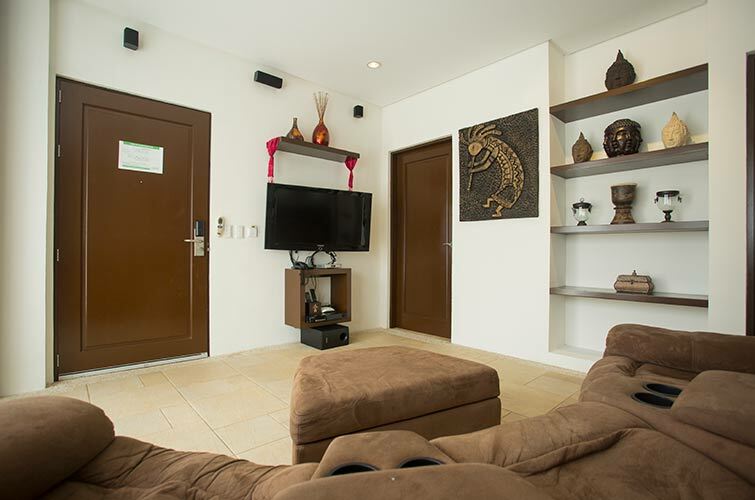 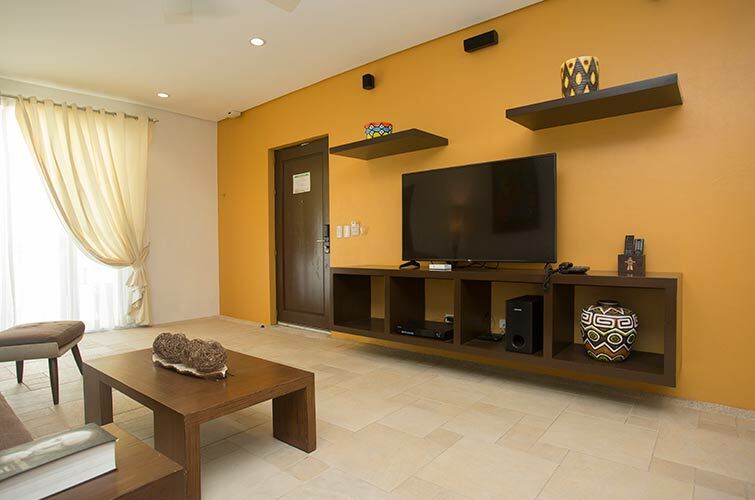 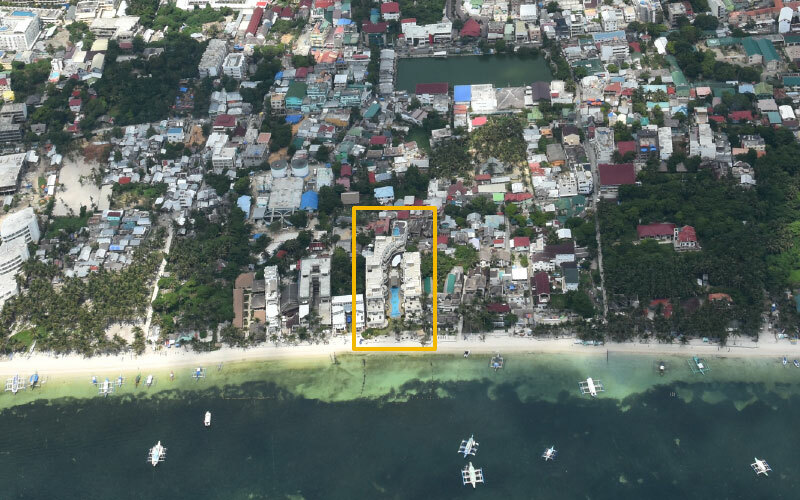 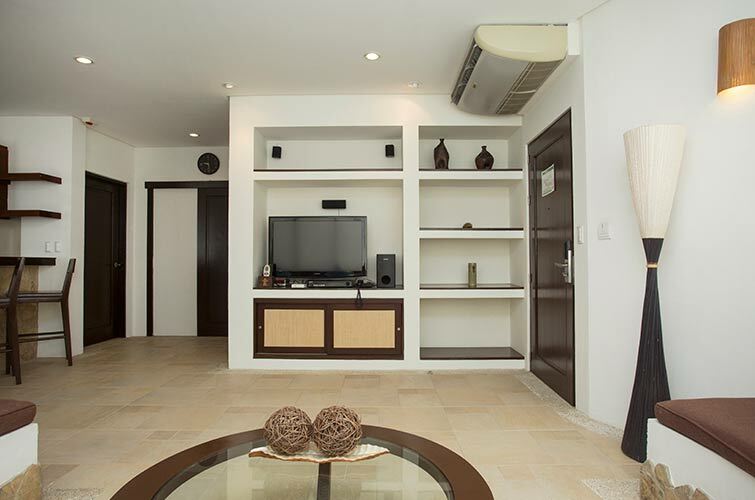 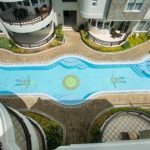 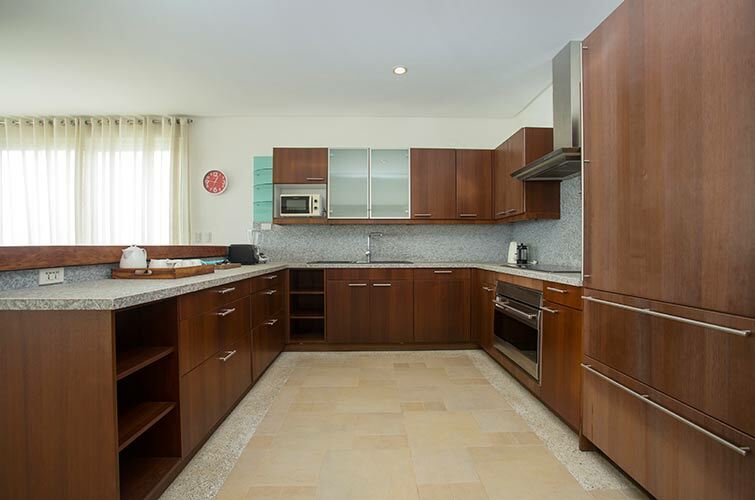 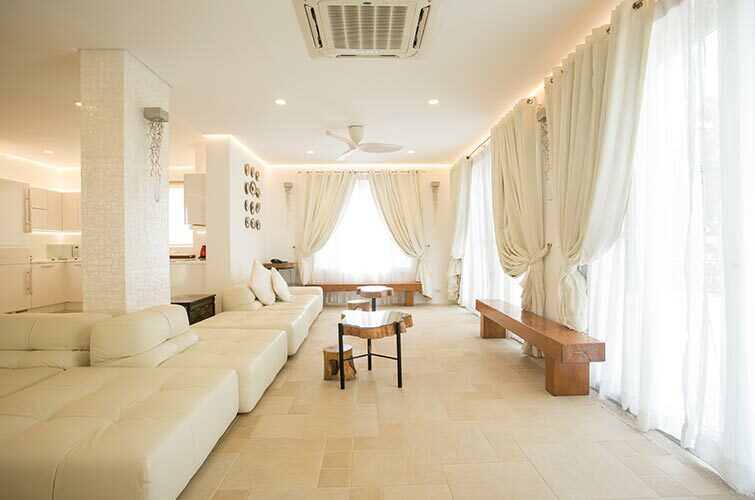 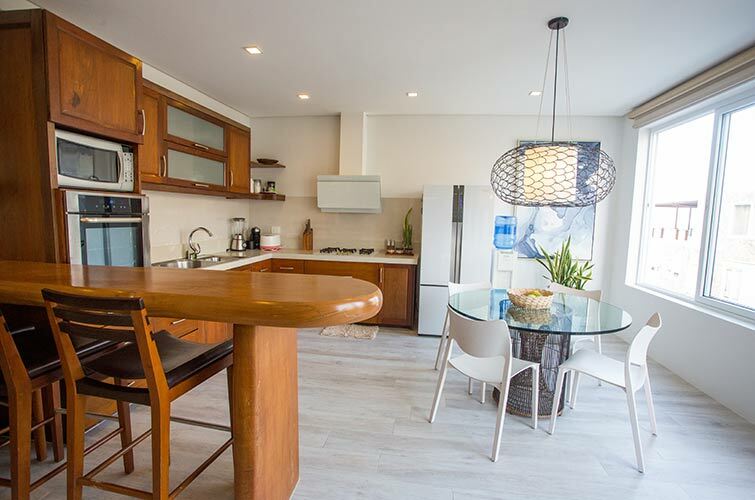 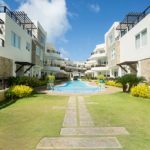 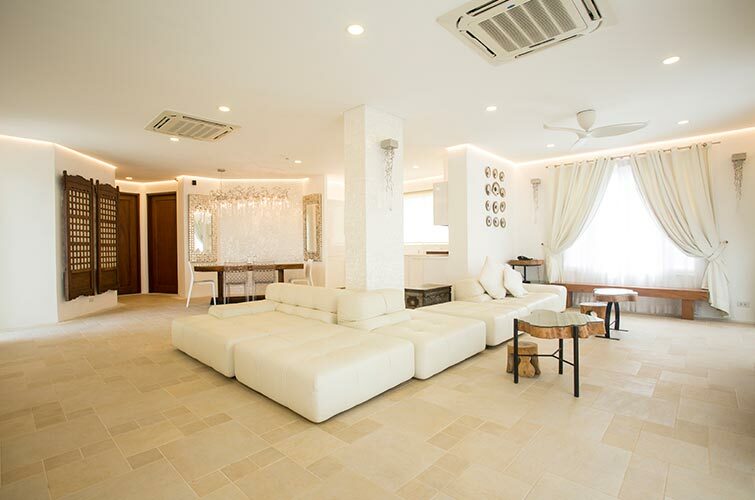 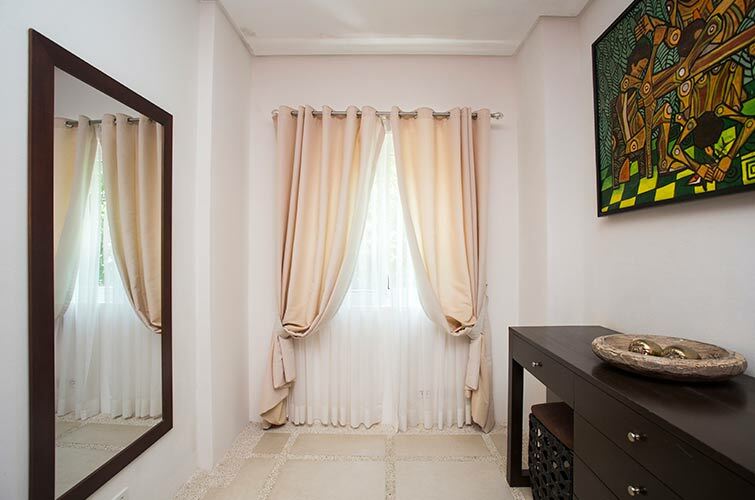 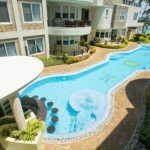 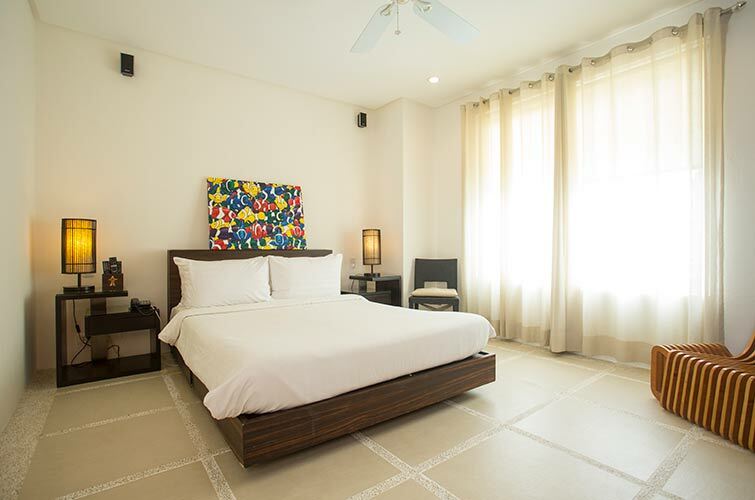 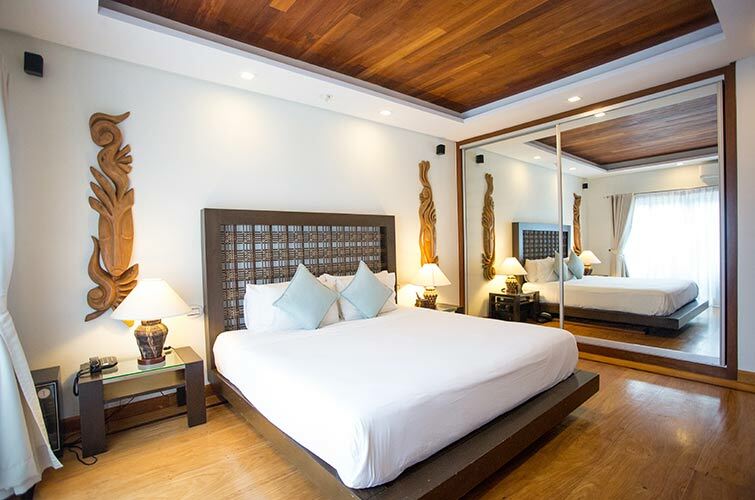 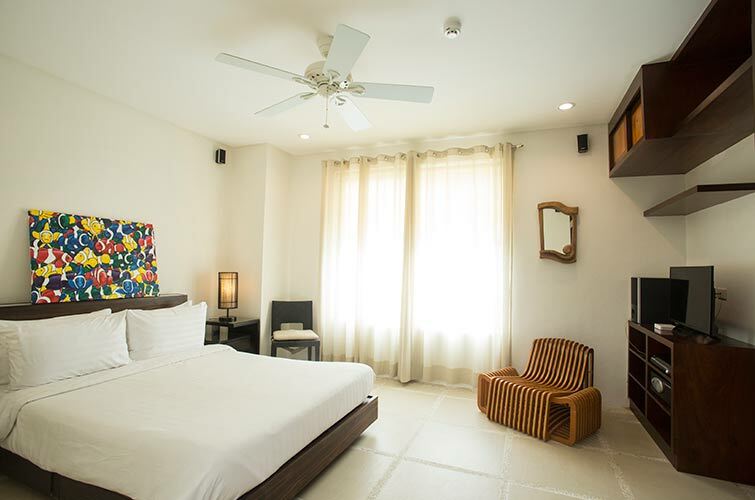 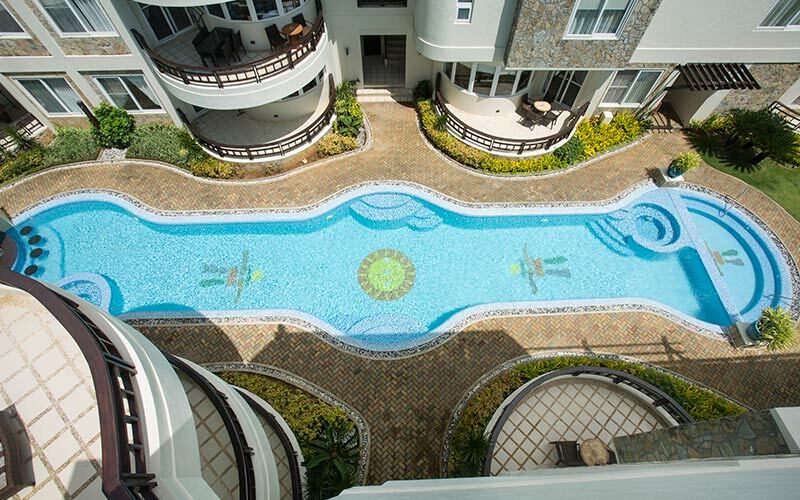 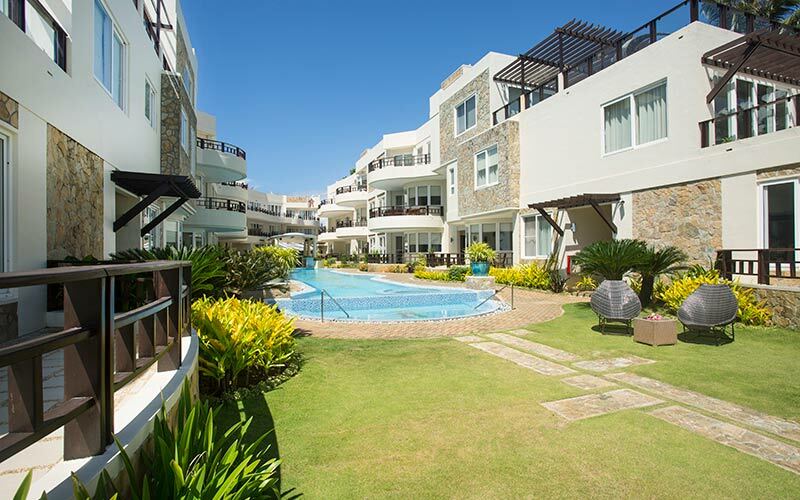 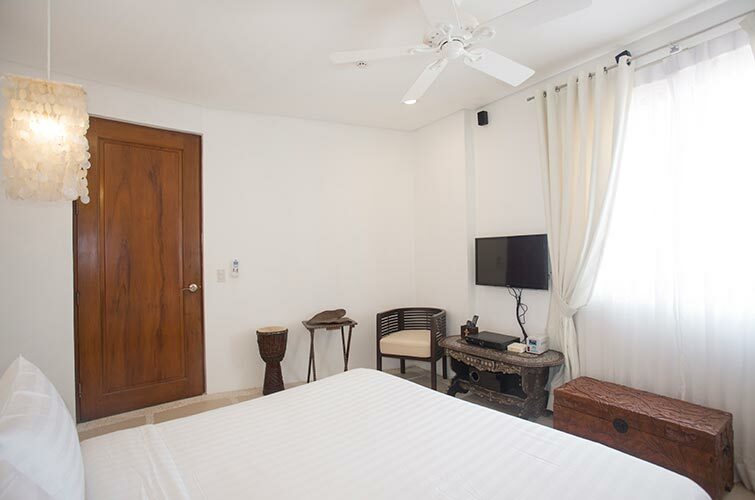 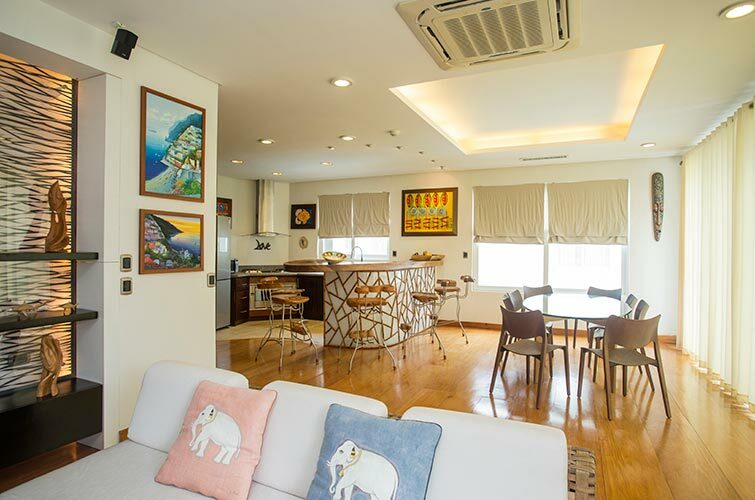 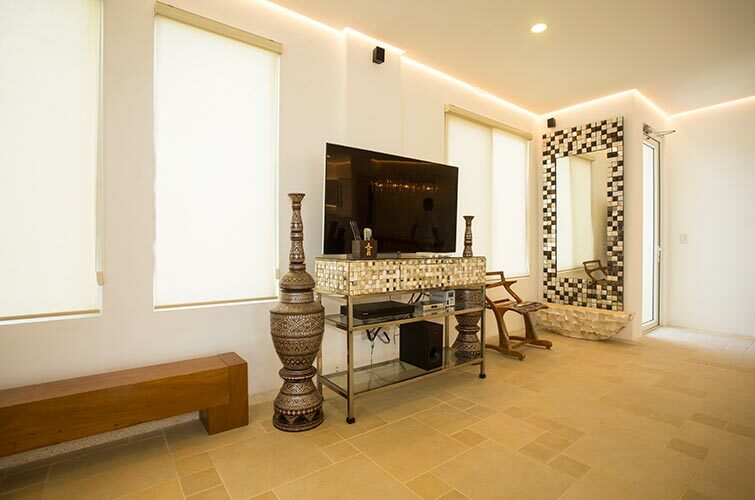 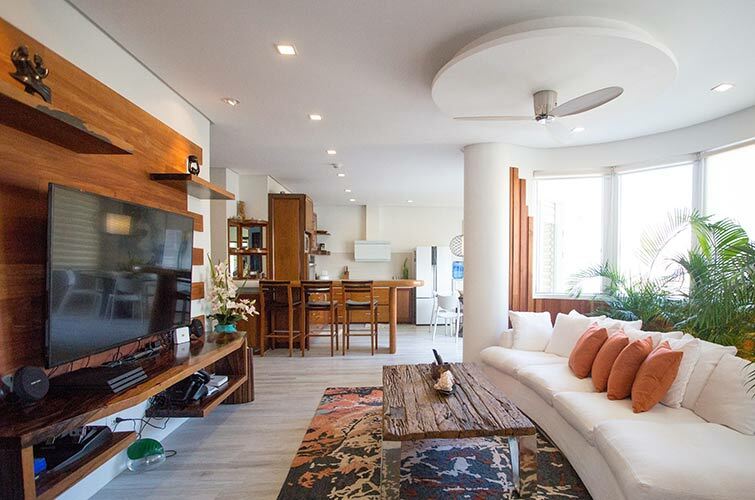 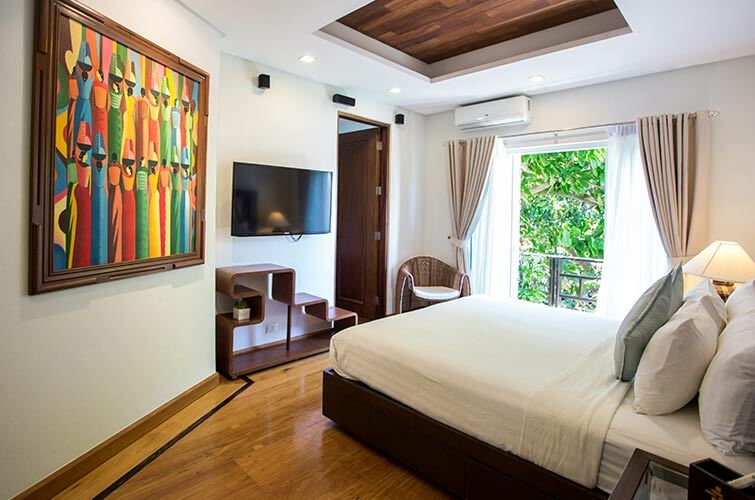 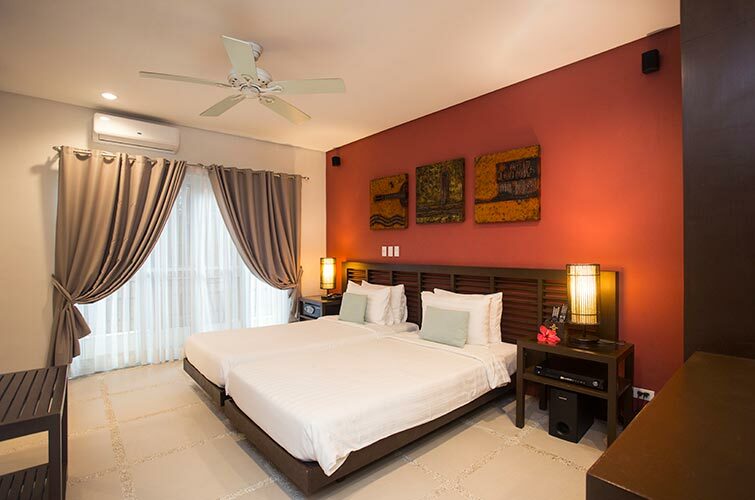 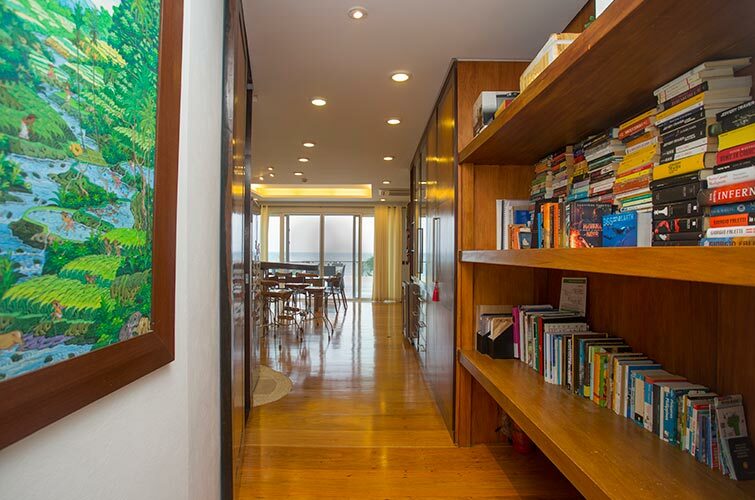 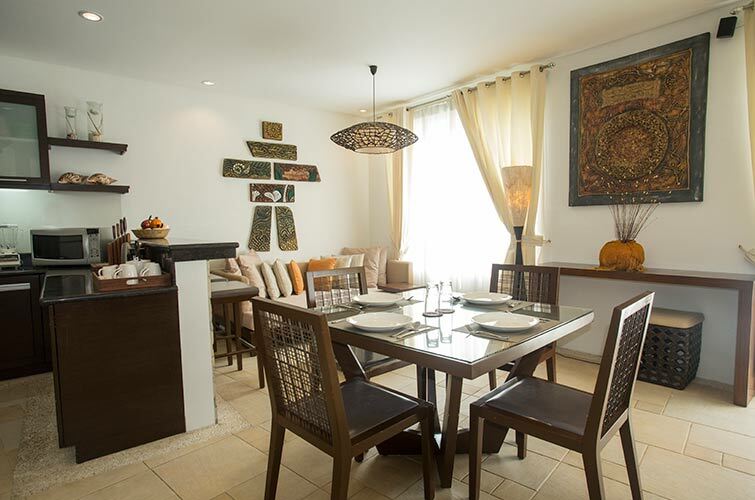 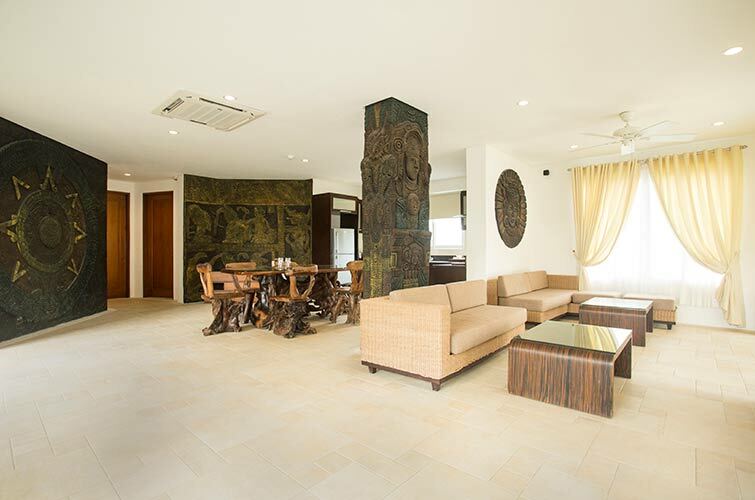 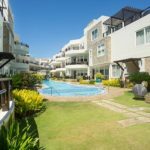 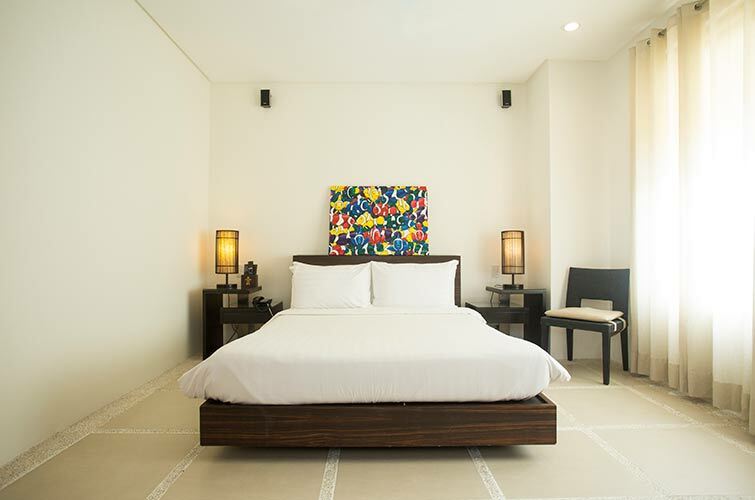 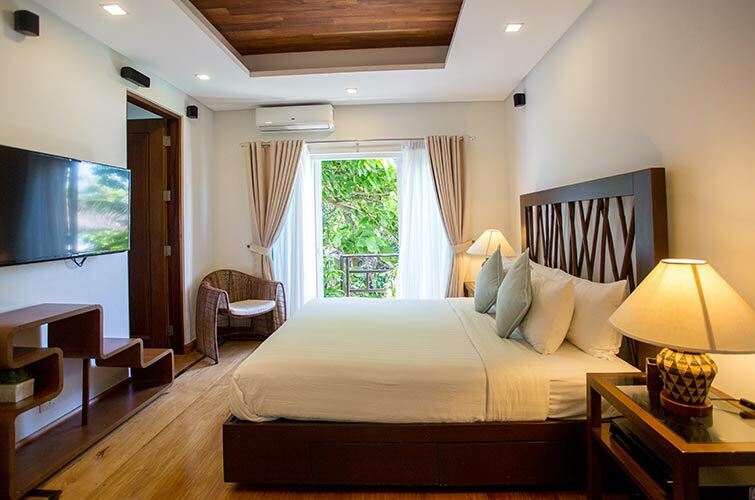 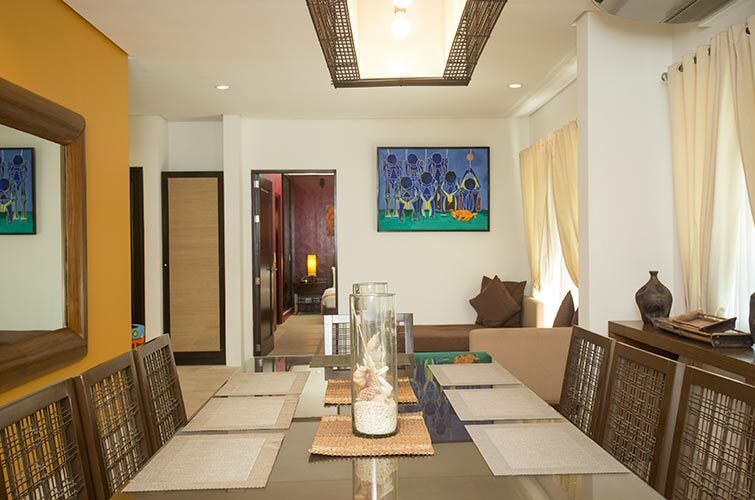 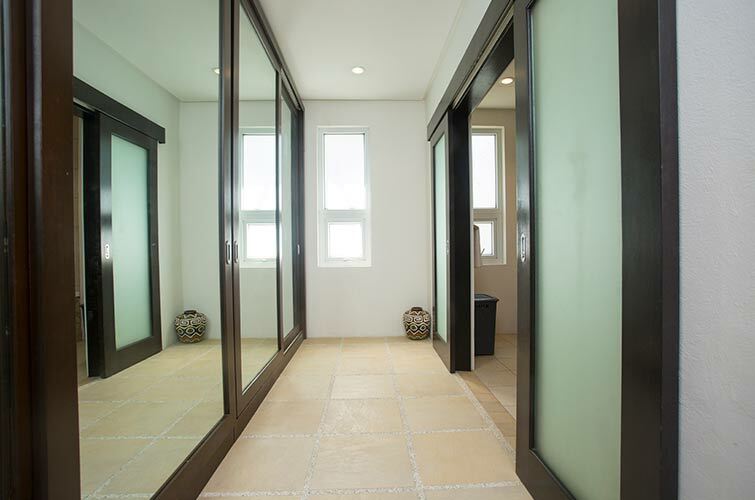 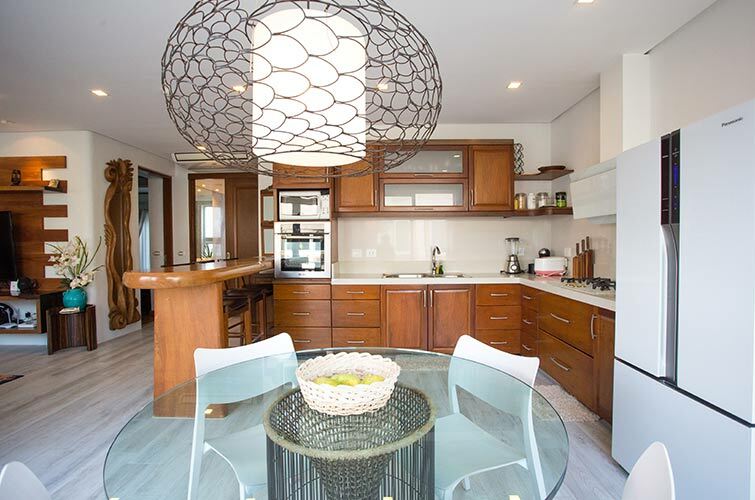 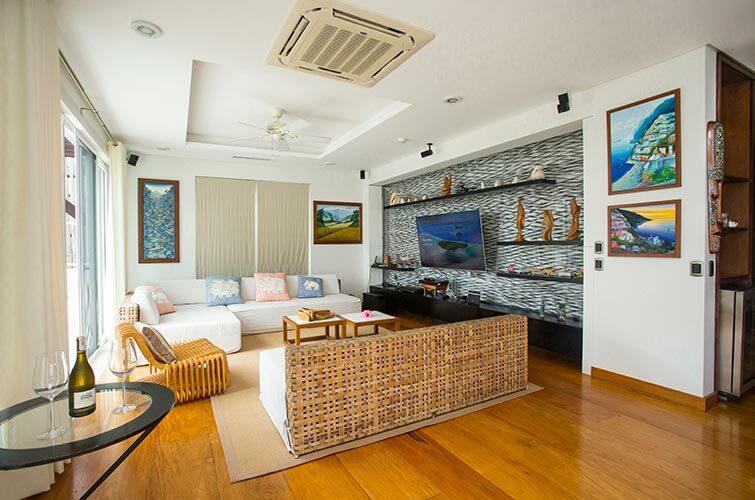 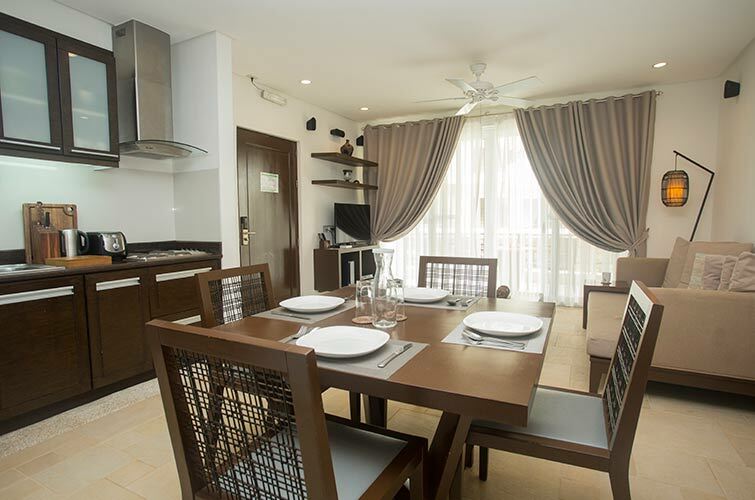 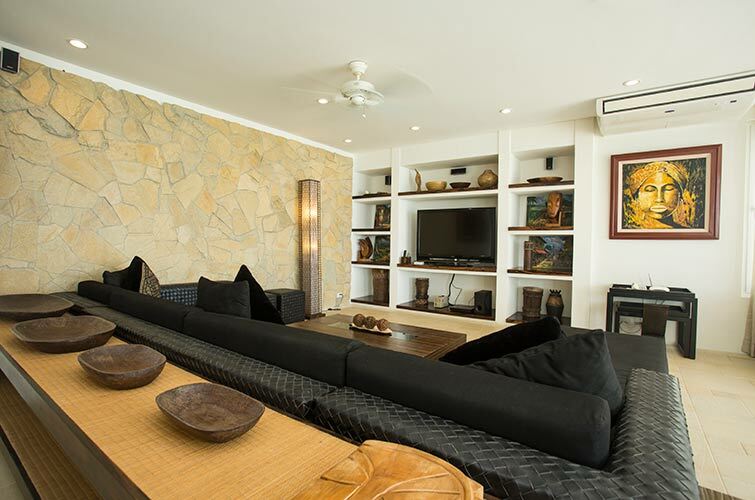 Perfectly central Boracay with a huge living room, fully equipped kitchen, open-plan dining area, exquisite bedroom with queen bed, and large en-suite bathroom with Jacuzzi. 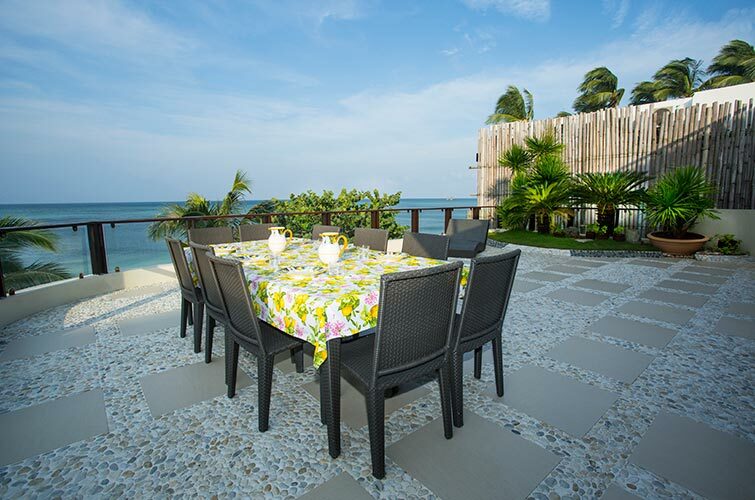 Vacationing with your family or large group of up to 8 people? 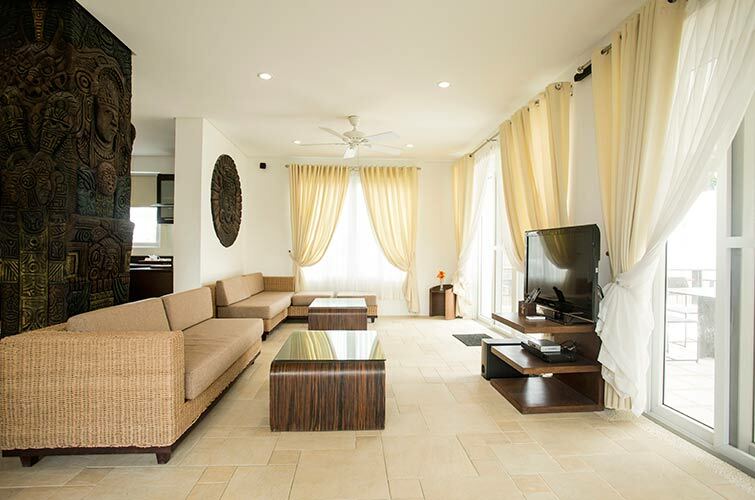 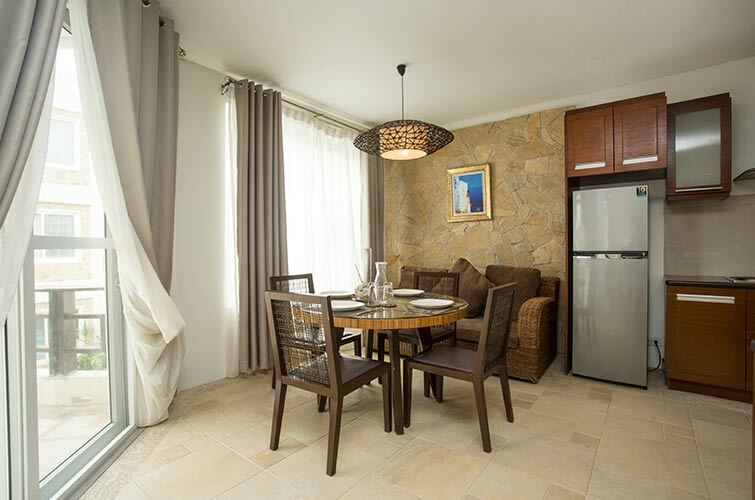 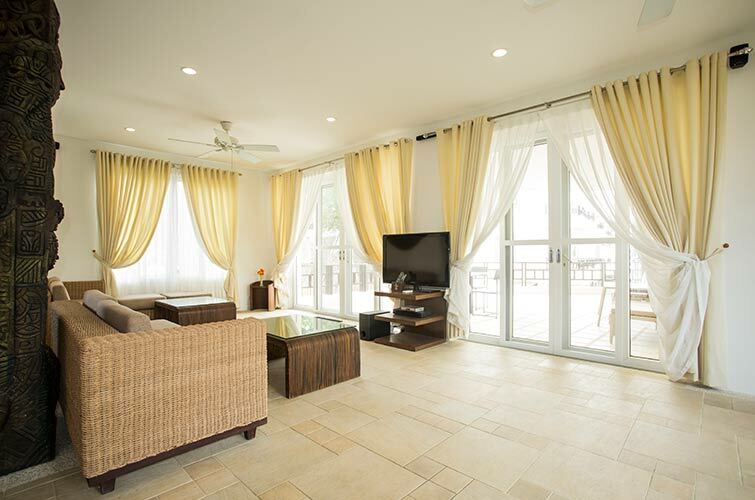 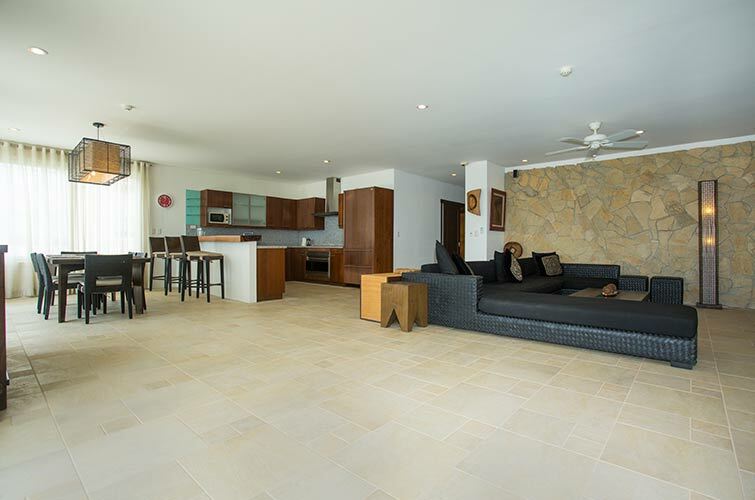 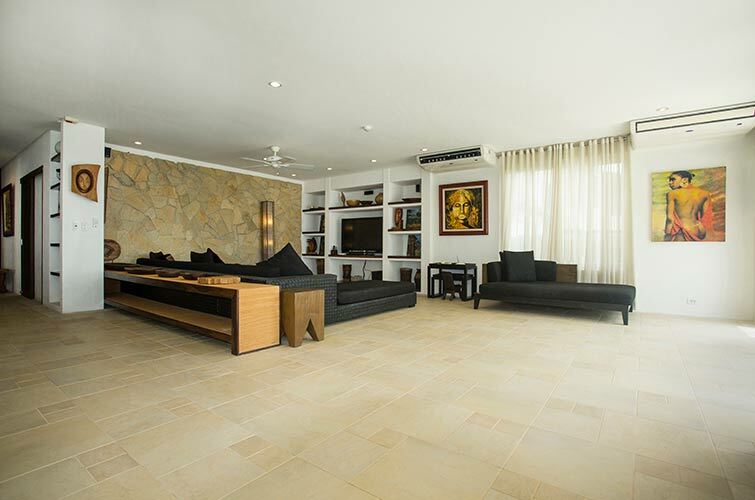 Indulge in this extremely spacious three-bedroom apartment with a grandeur living area, fully equipped kitchen, open-plan dining area, entertainment room, and large en-suite bathrooms with Jacuzzi. 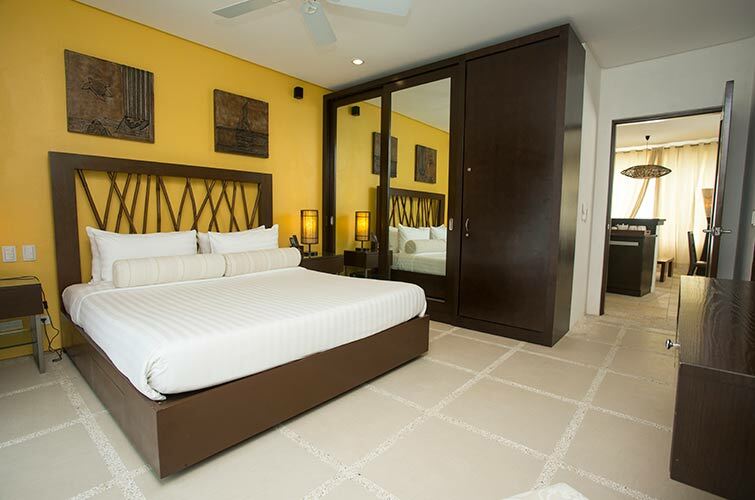 This exclusive Super Family Suite is styled with refined furniture and is designed with generous interior space for the whole family. 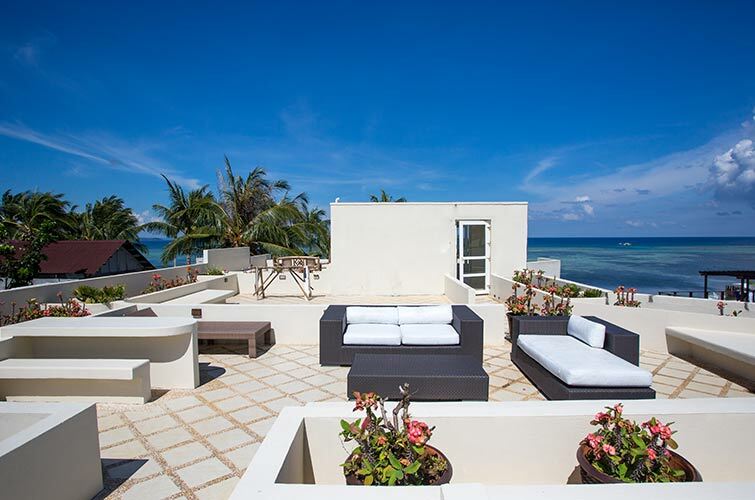 This huge apartment has two ocean view balconies, and a very special roof deck with sweeping ocean views.